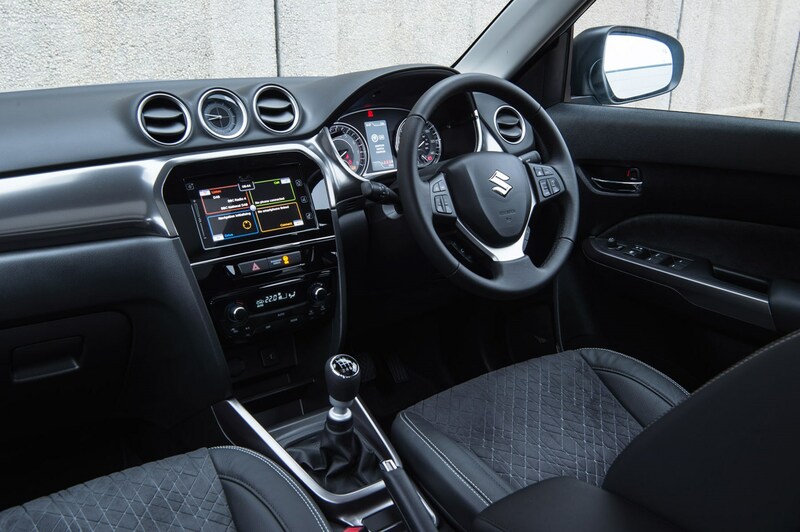 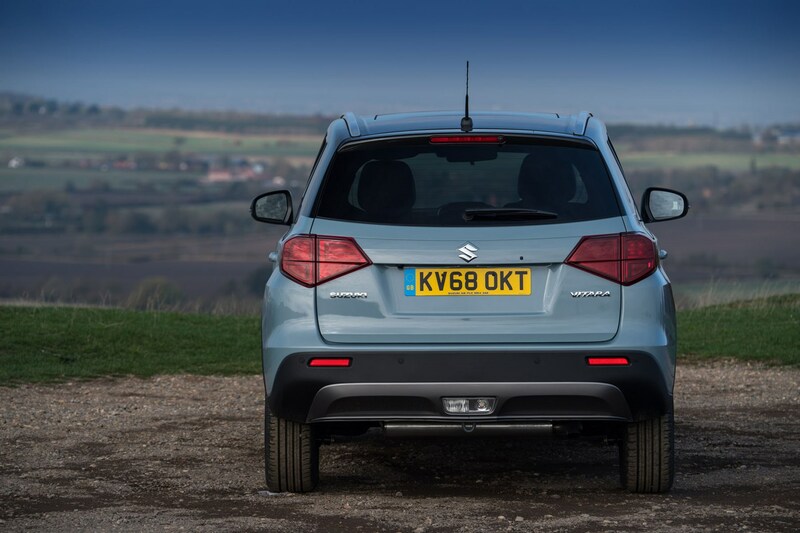 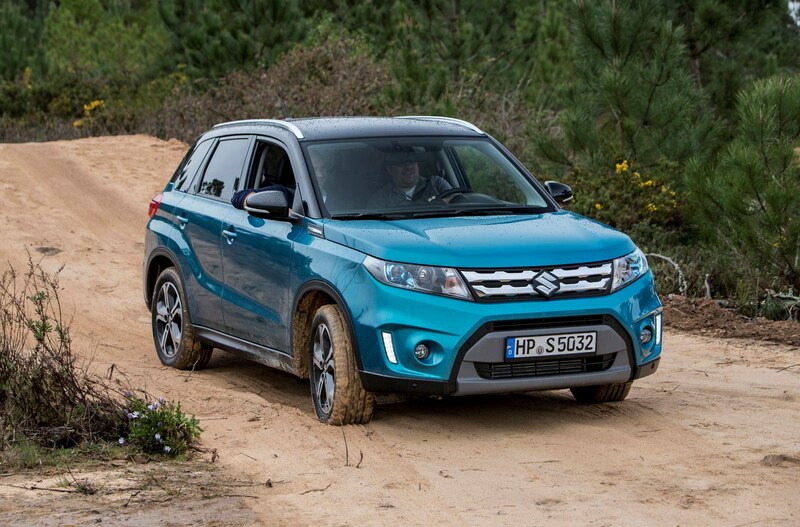 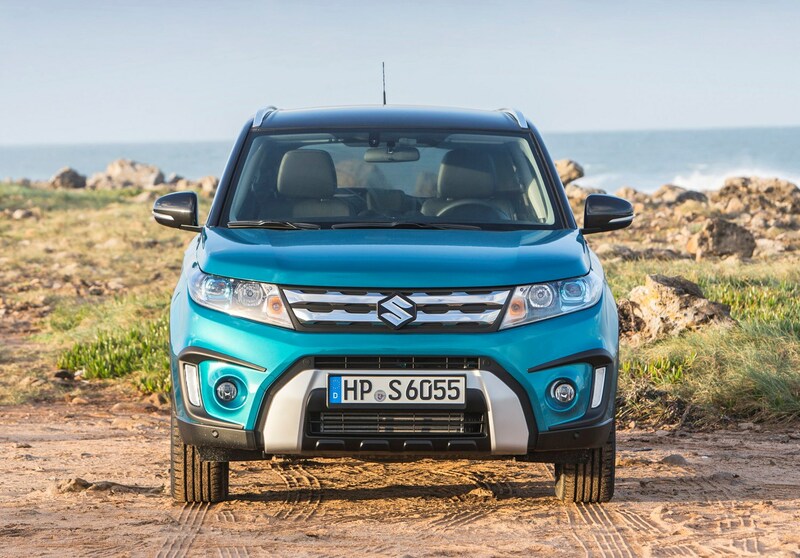 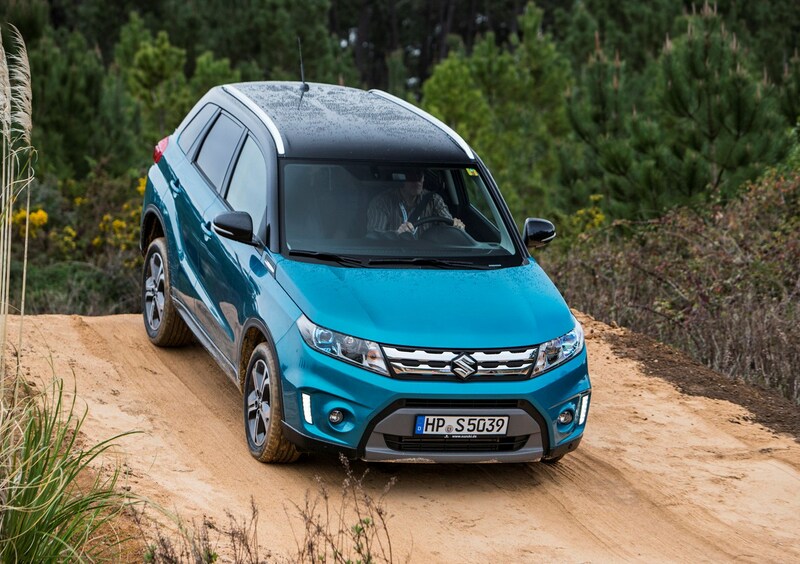 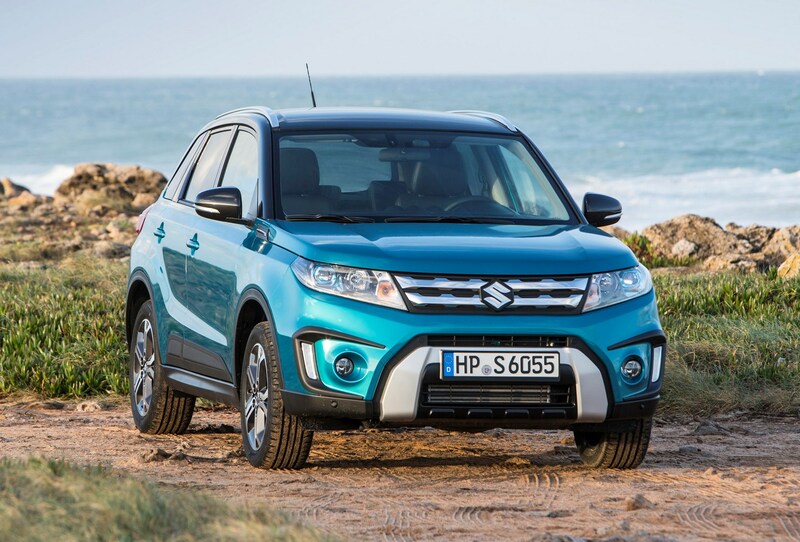 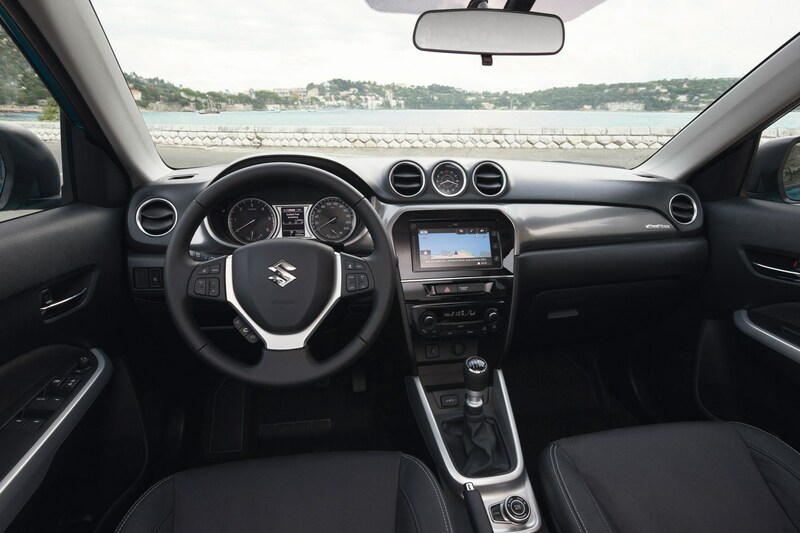 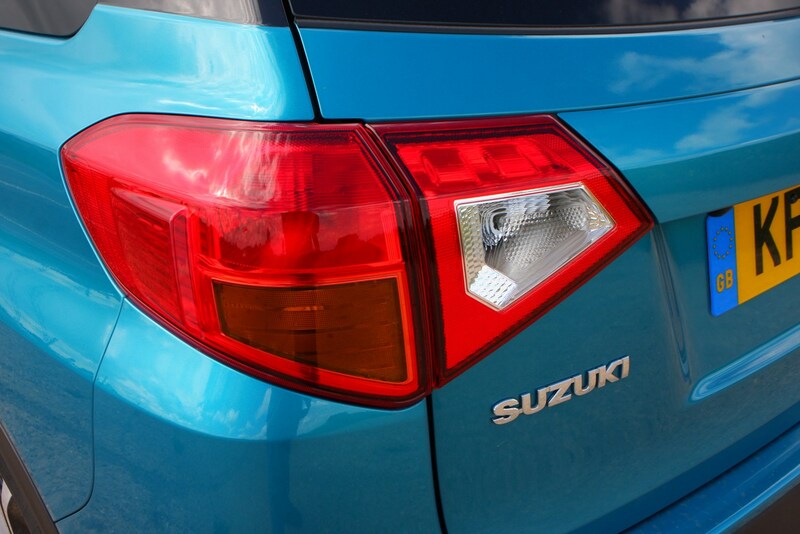 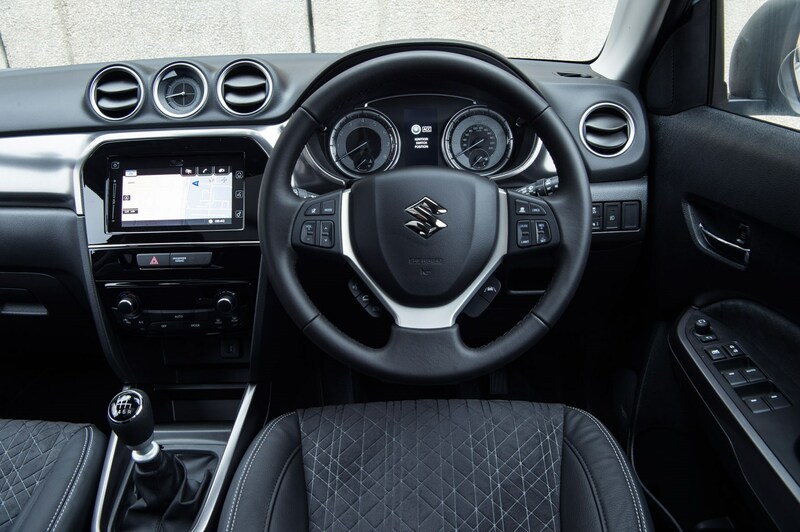 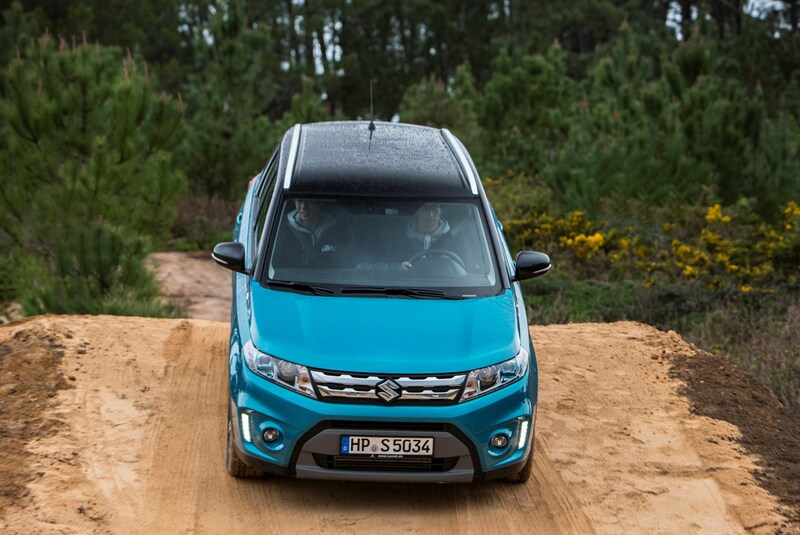 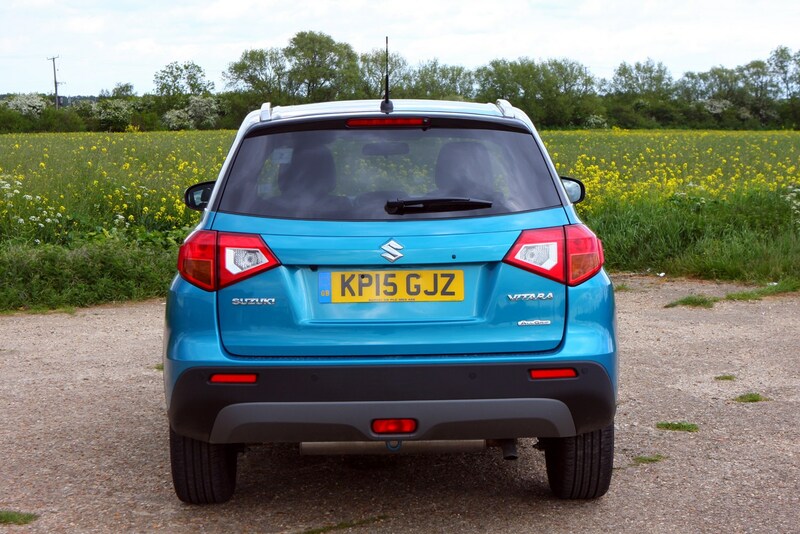 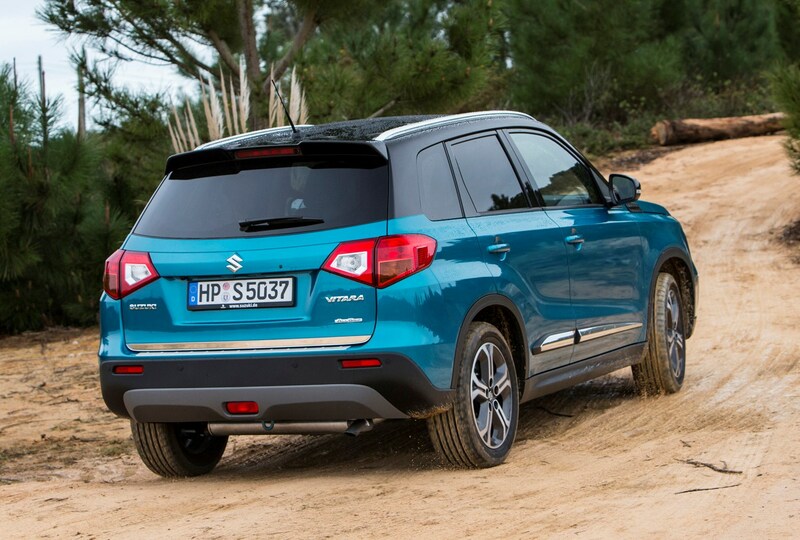 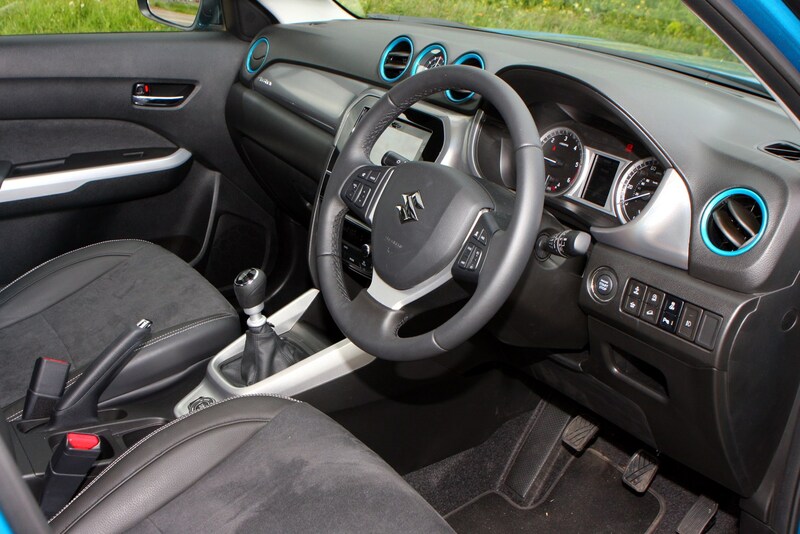 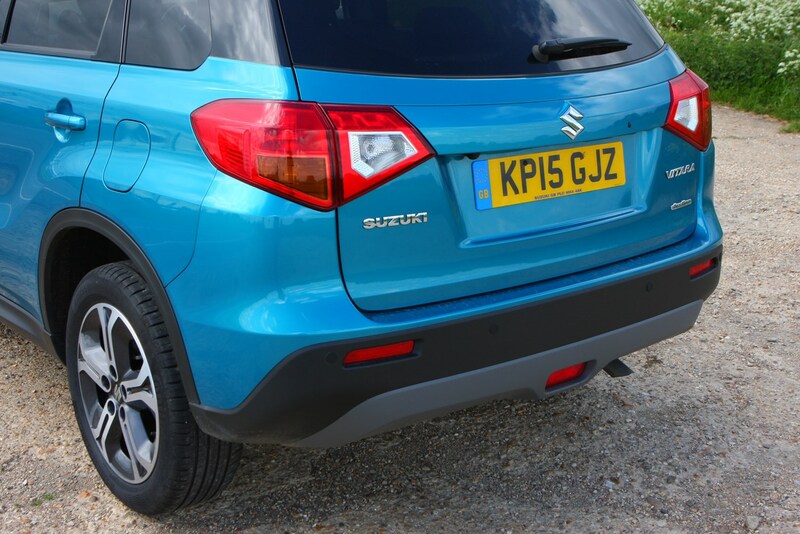 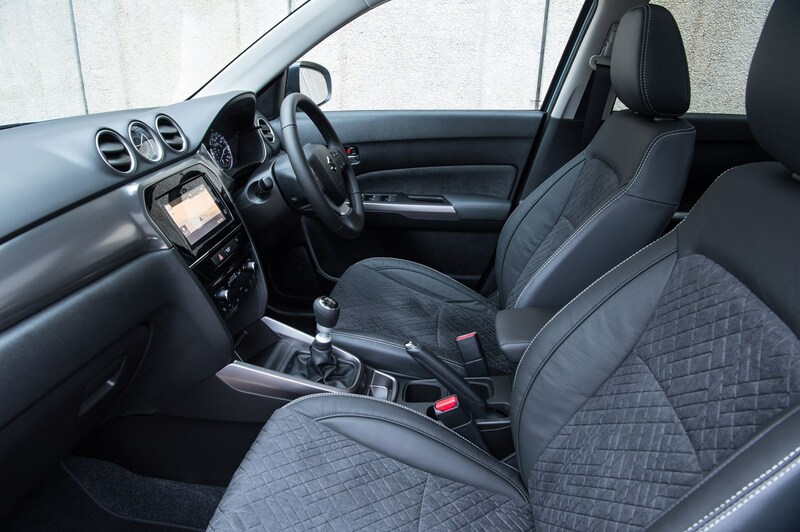 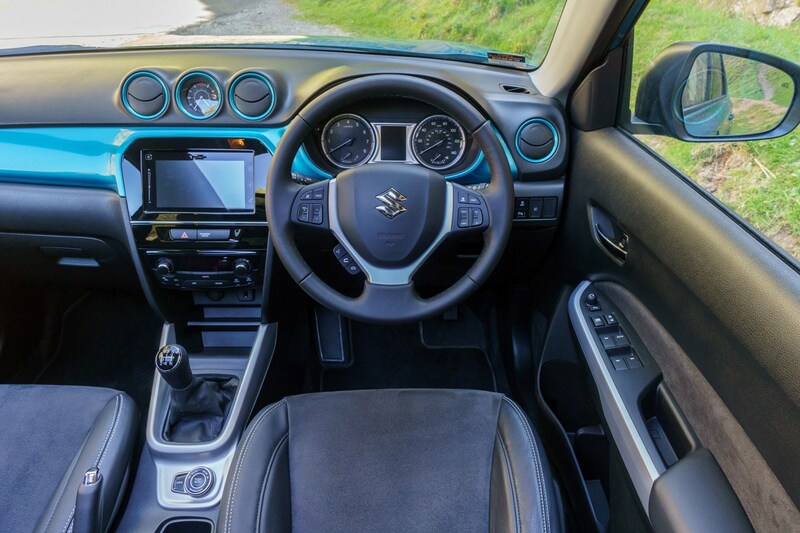 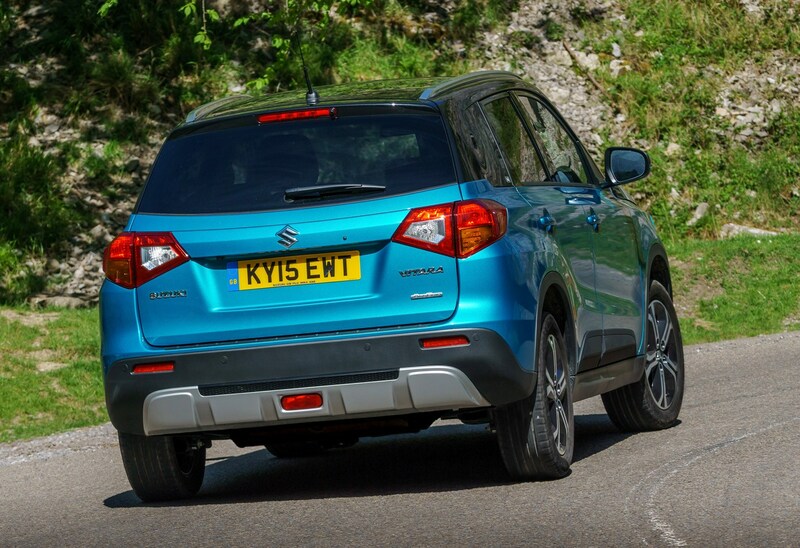 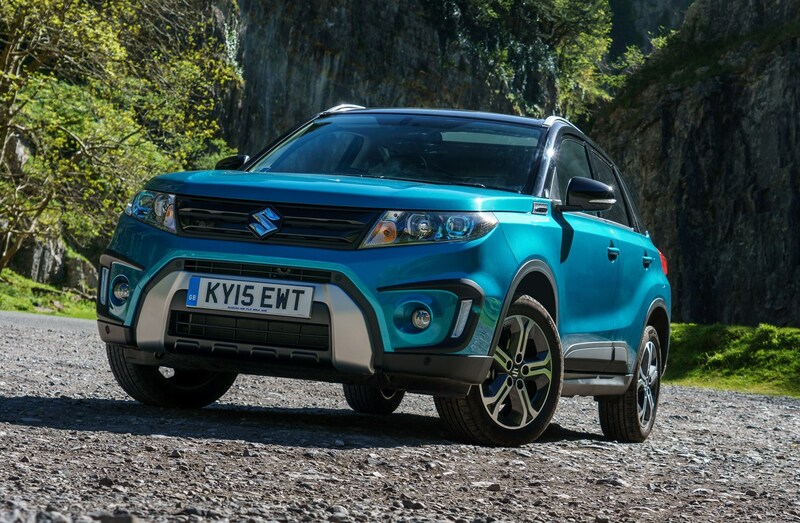 The Suzuki is a compact crossover with more rugged off-roader-style looks than almost any other car of its kind, possibly in homage to its predecessors which were arguably much more rugged machines. 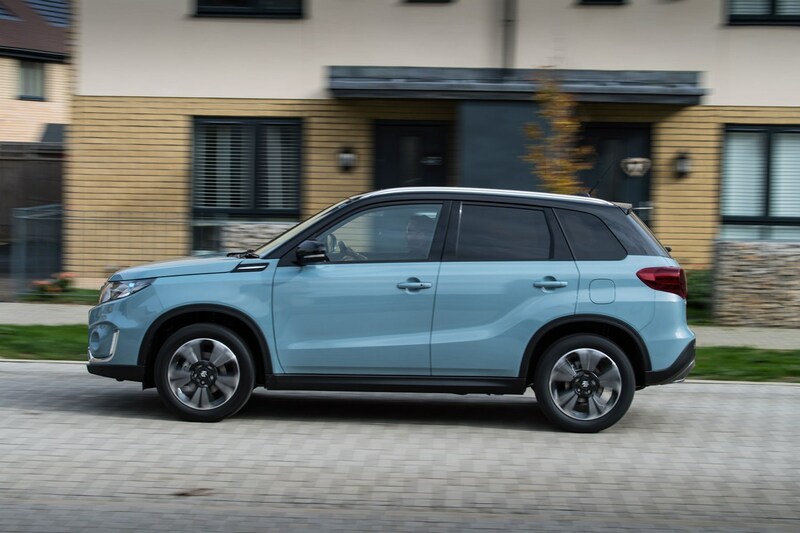 Since then, buyers have started to demand a bit more polish, so this version of the Vitara blends a bit of 4x4 style with a bit more kerb appeal. 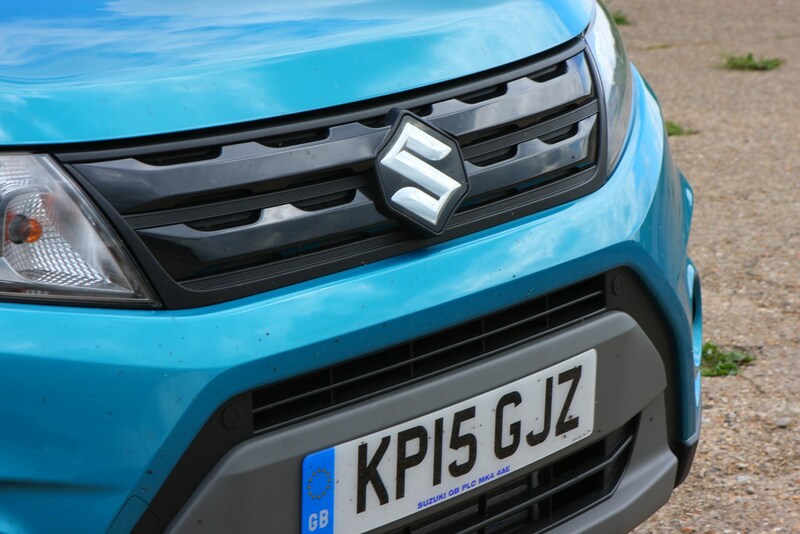 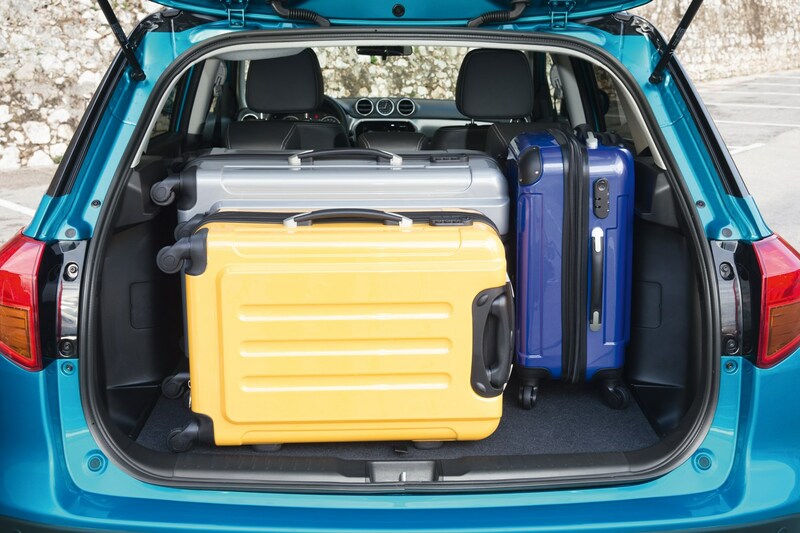 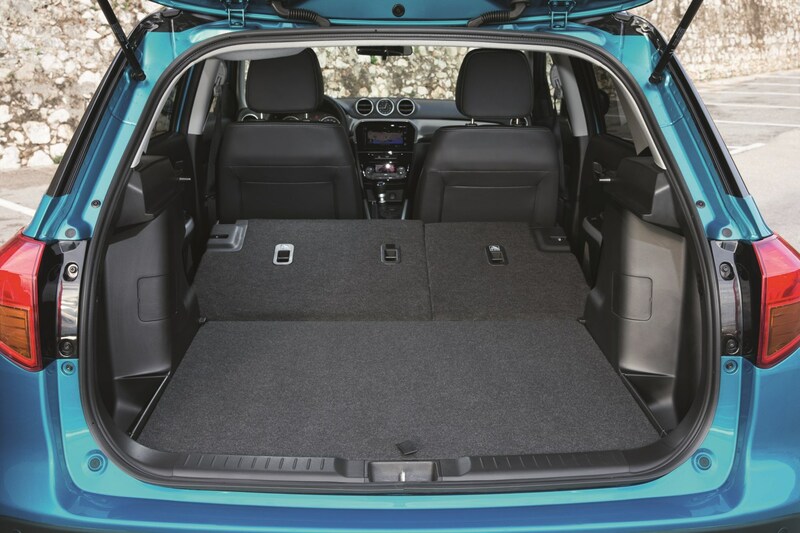 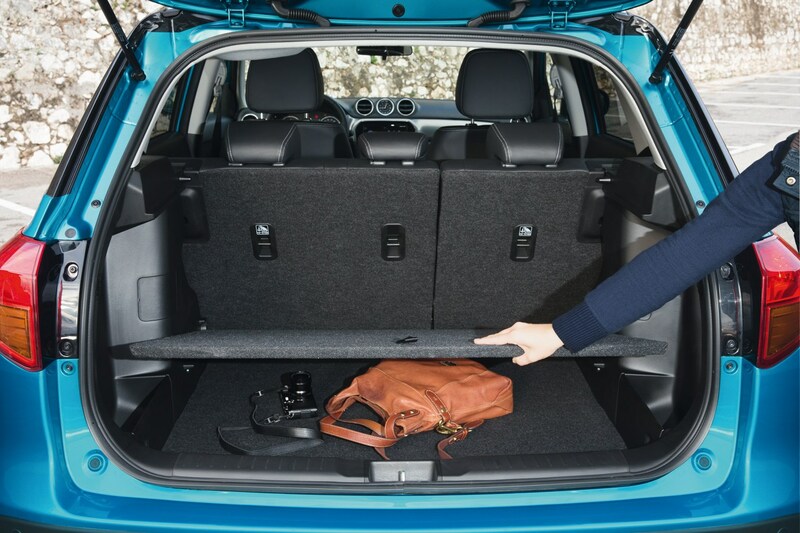 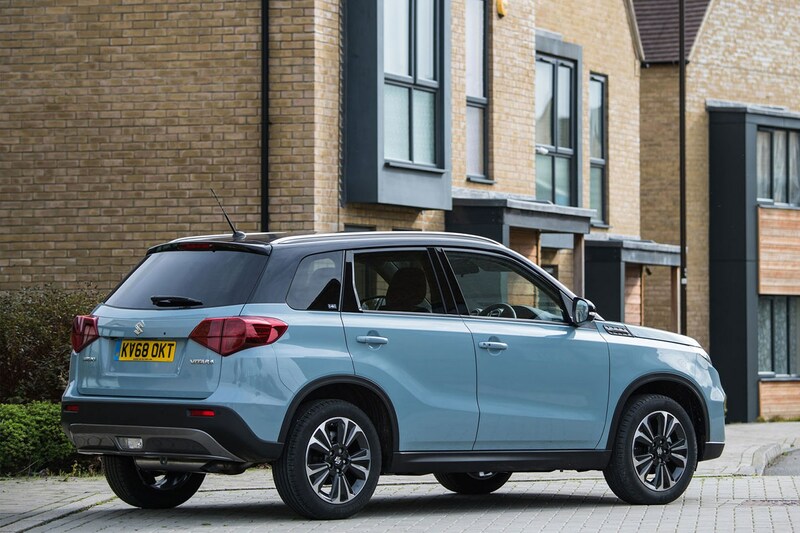 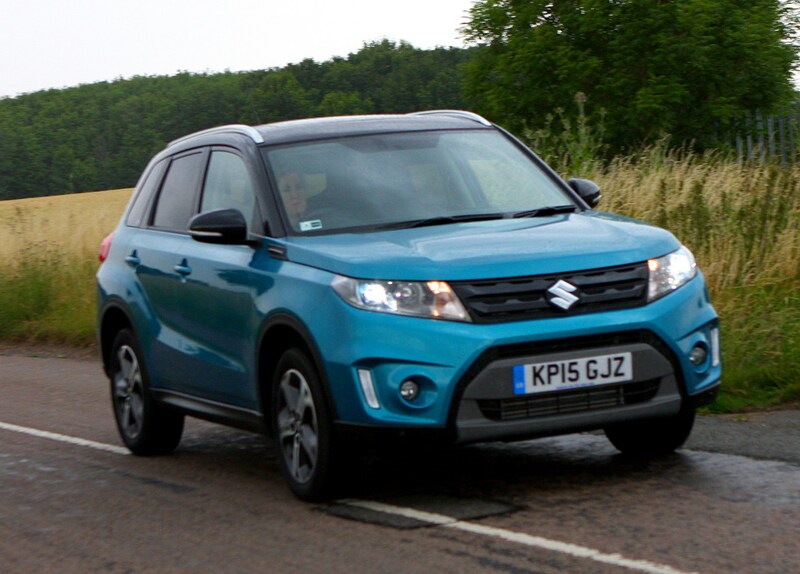 Similar in size to the Peugeot 2008, Renault Captur, SEAT Arona and Citroen C3 Aircross, the Vitara sits below the S-Cross in Suzuki's line-up. 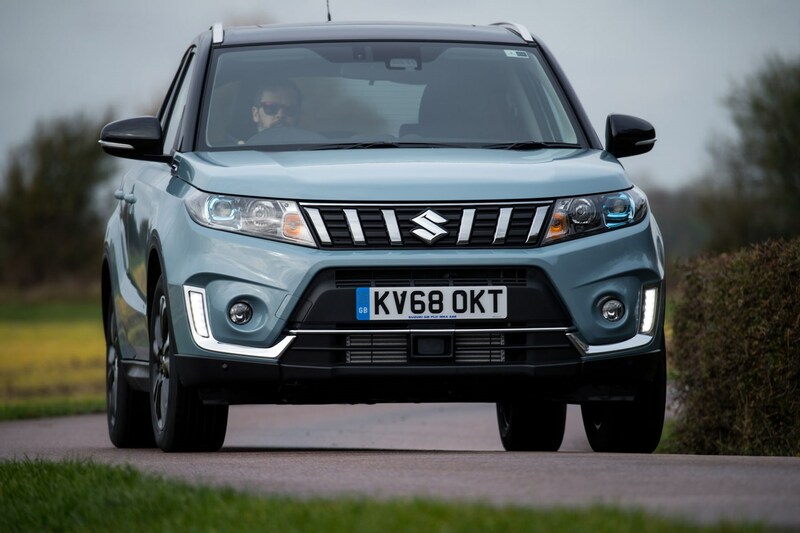 It's off to a good start with eye-catching looks, a surprisingly roomy interior and some great-value PCP finance deals to appeal to cost-conscious buyers, but it's also more useful off-road than many of its front-wheel drive rivals thanks to the availability of four-wheel drive on some models and some off-road aids. 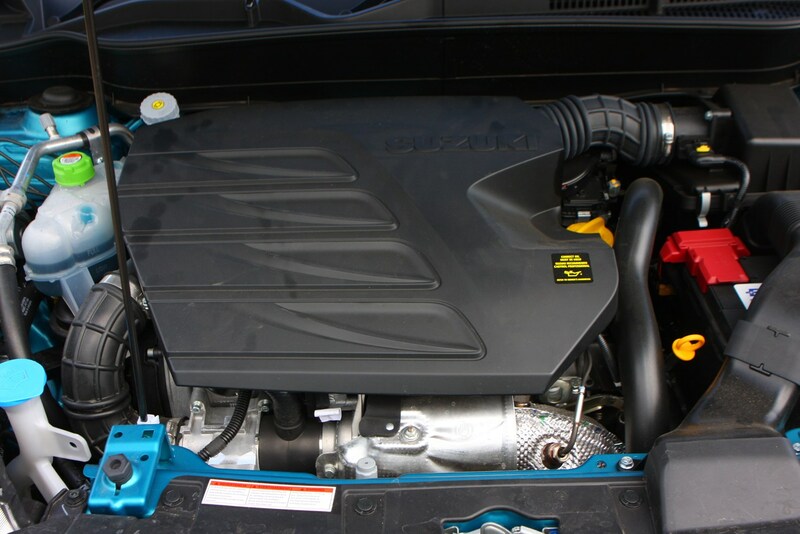 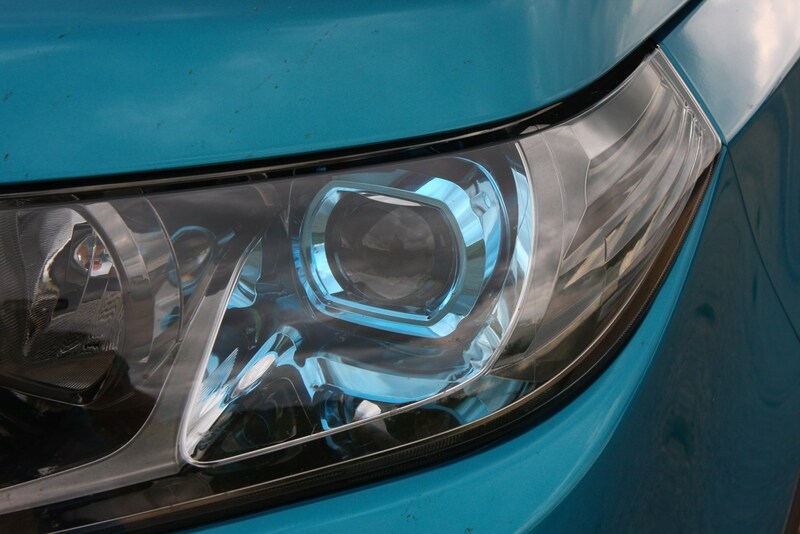 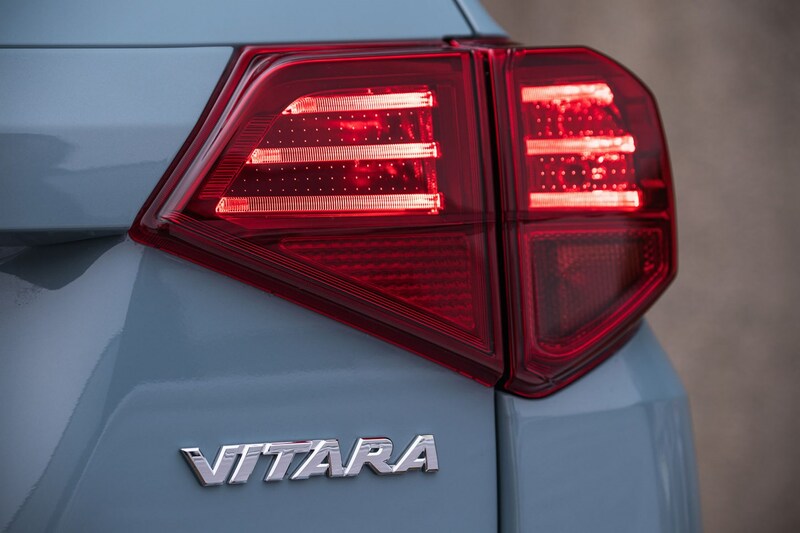 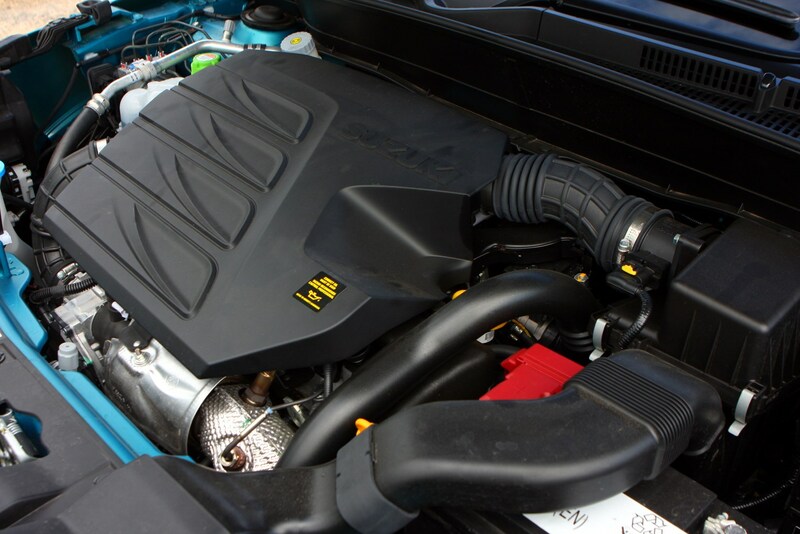 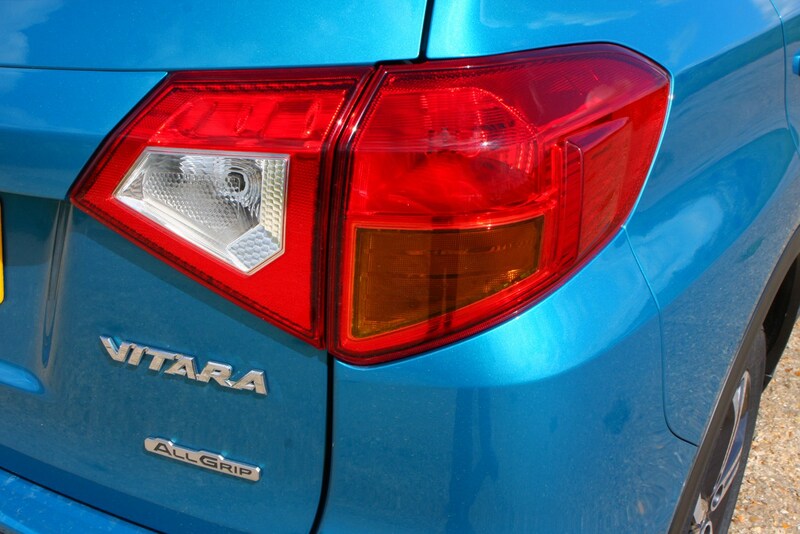 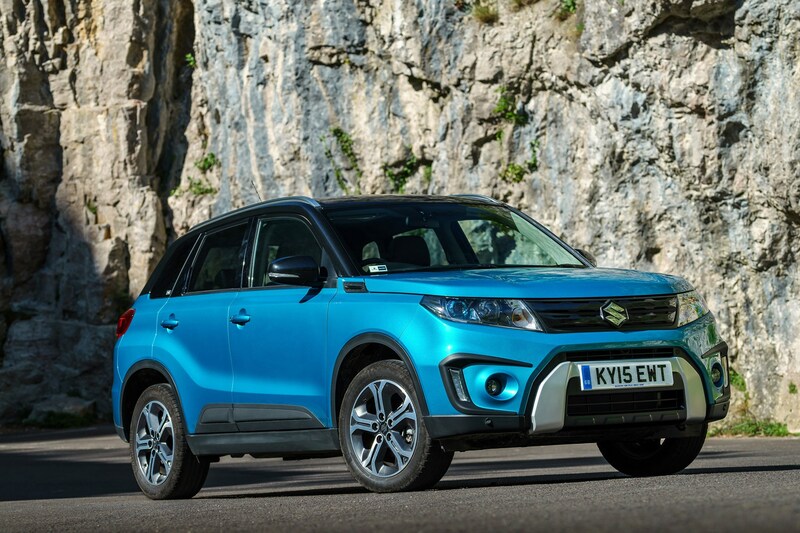 The Vitara's engine range is made up of just two petrols - both badged Boosterjet to mark that they're turbocharged. 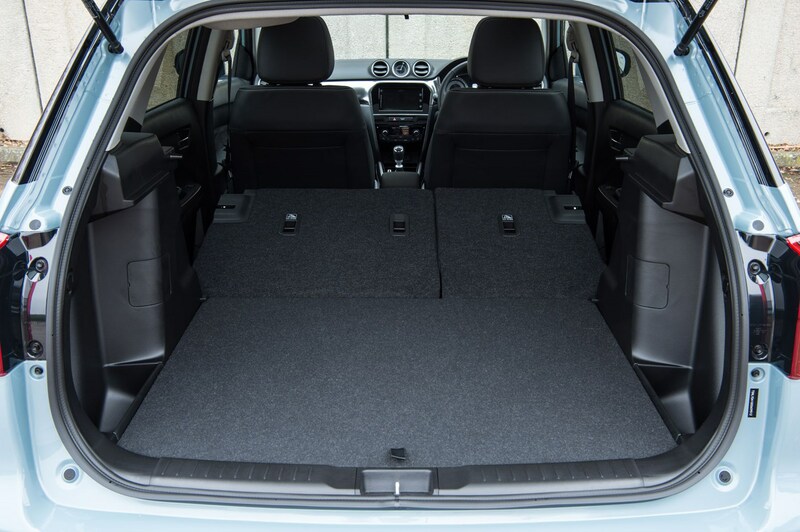 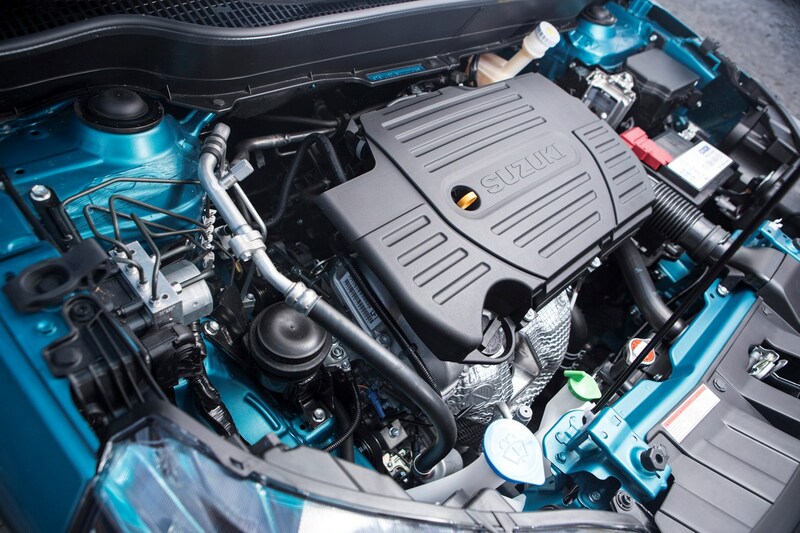 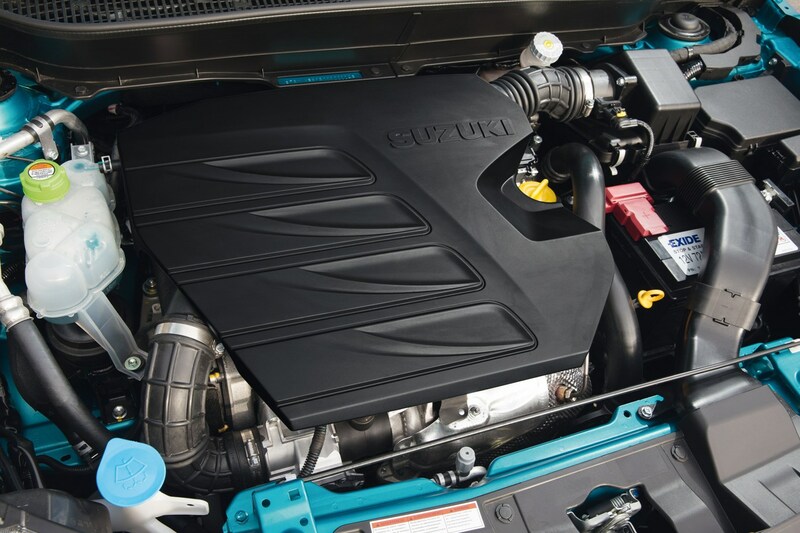 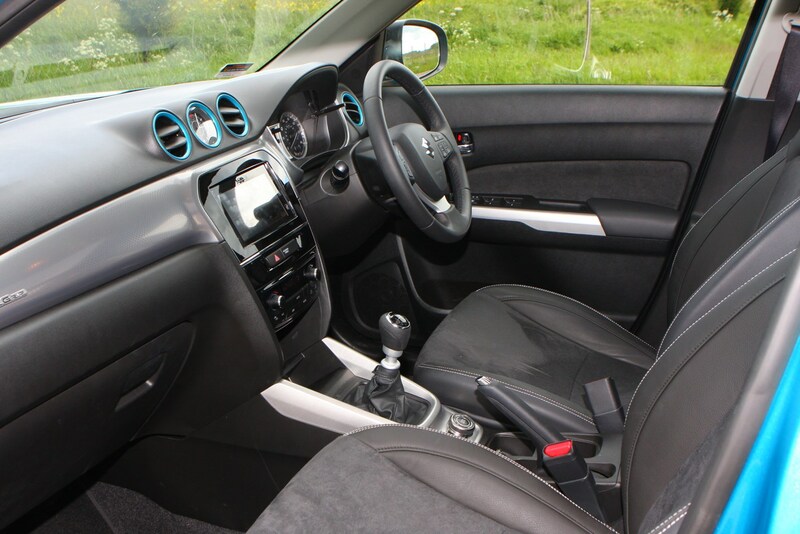 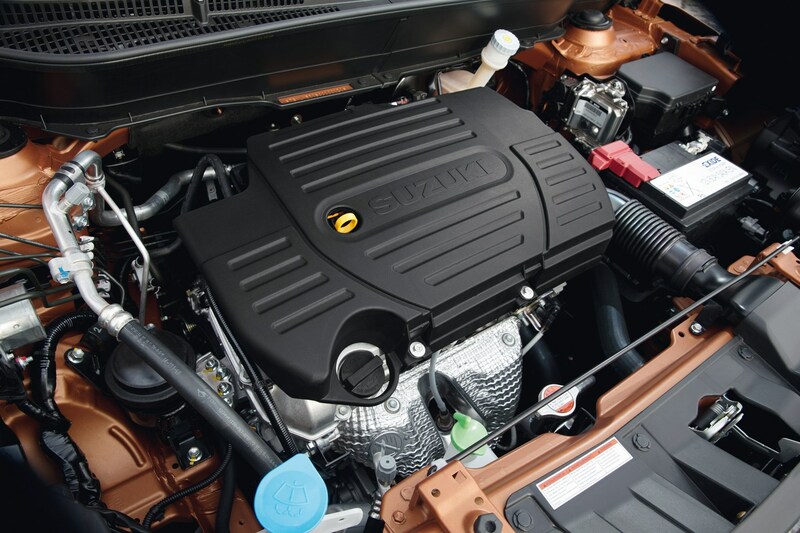 The entry-level unit is a 111hp 1.0-litre three-cylinder unit, and provides surprisingly pokey performance in Suzuki's smaller models such as the Swift. 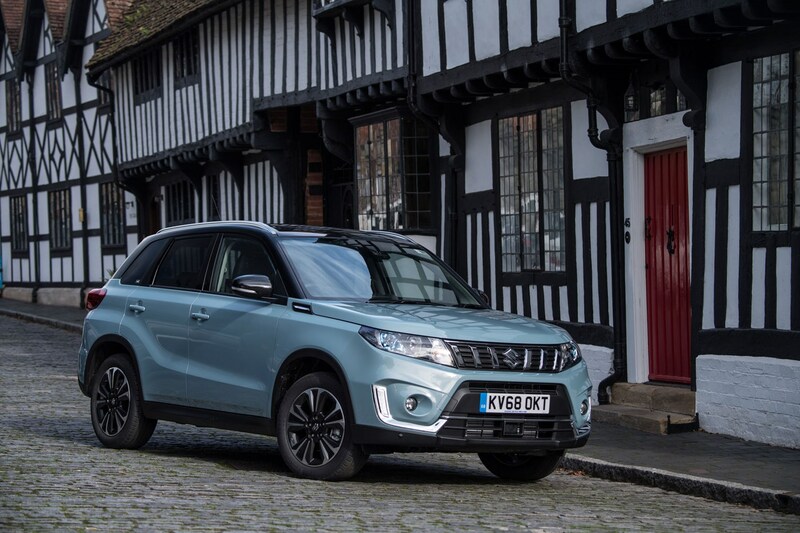 The Vitara's larger size and weight - as well as its family-oriented nature - will mean that some may want the extra oomph of the more powerful 1.4 Boosterjet with 140hp. 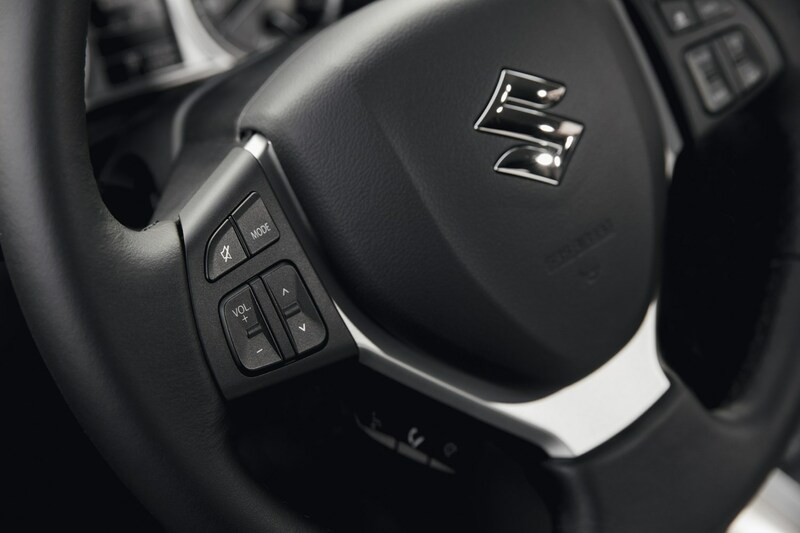 Both engines are available with a choice of manual or automatic gearboxes, so buyers are able to choose whatever suits their needs best. 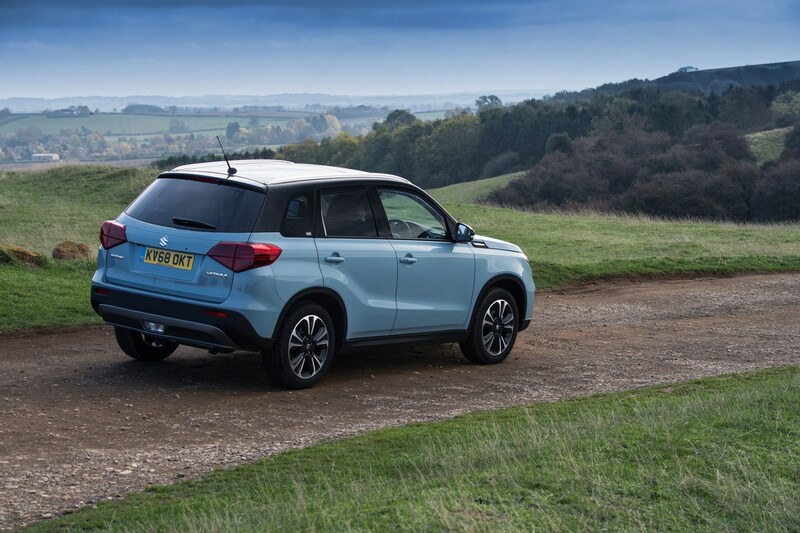 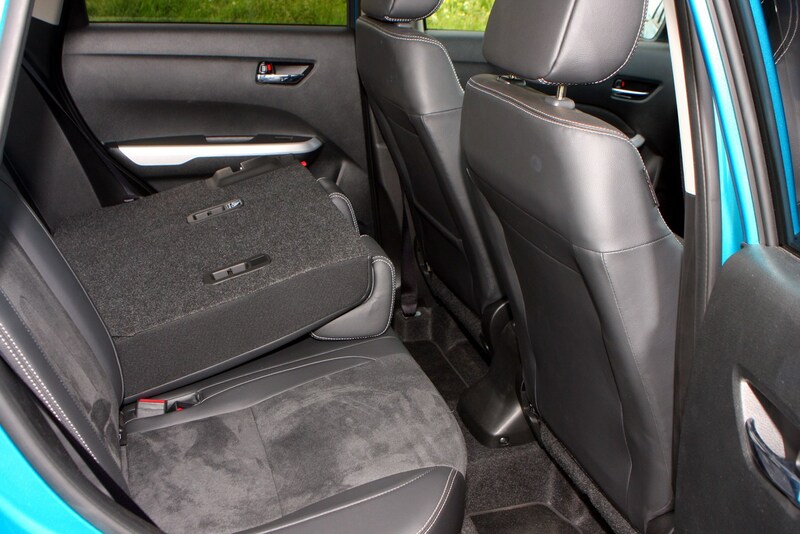 You can also choose front- or four-wheel drive across both models, too, if you regularly tackle some slippery slopes or rougher terrain where you live. 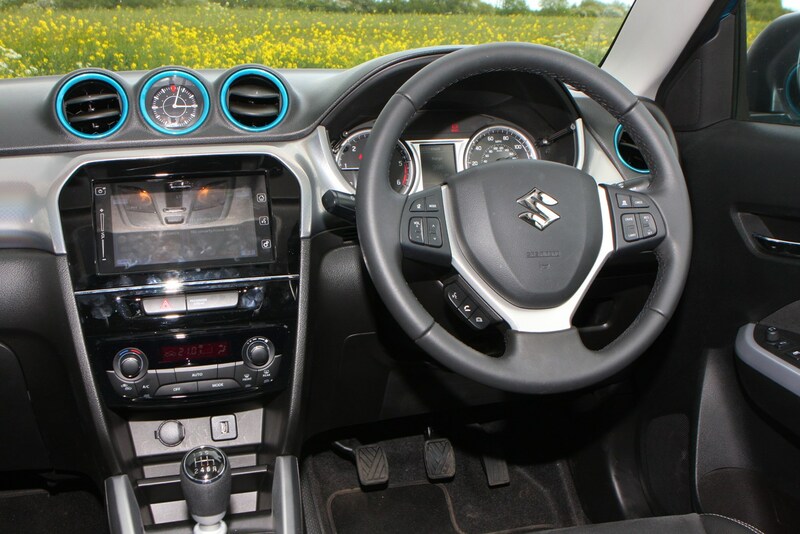 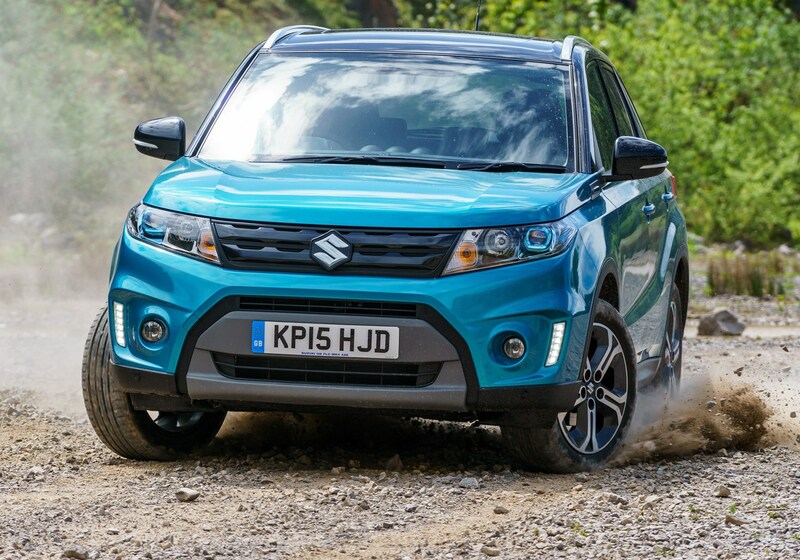 Famed for its 4x4 know-how, something it’s been perfecting for four decades now, Suzuki realises that in reality only 10% of this market segment are sold so equipped. 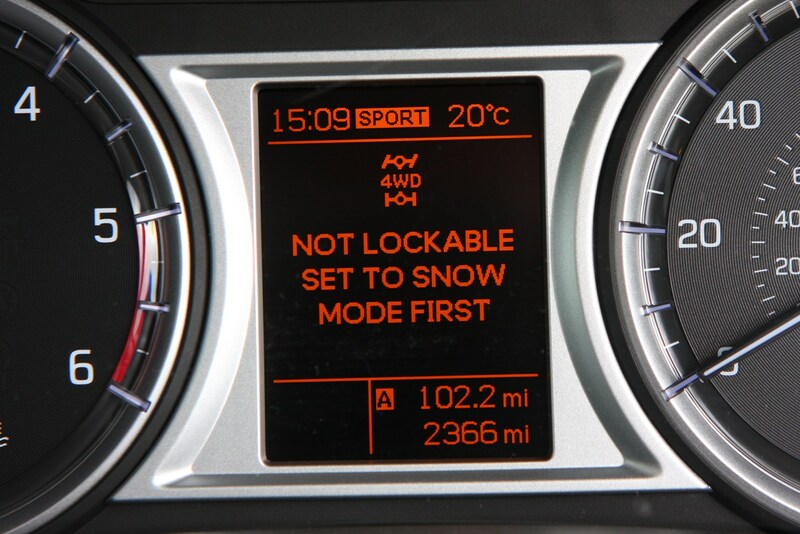 Which means the front-wheel drive models easily out-sell the four-wheel drive ones. 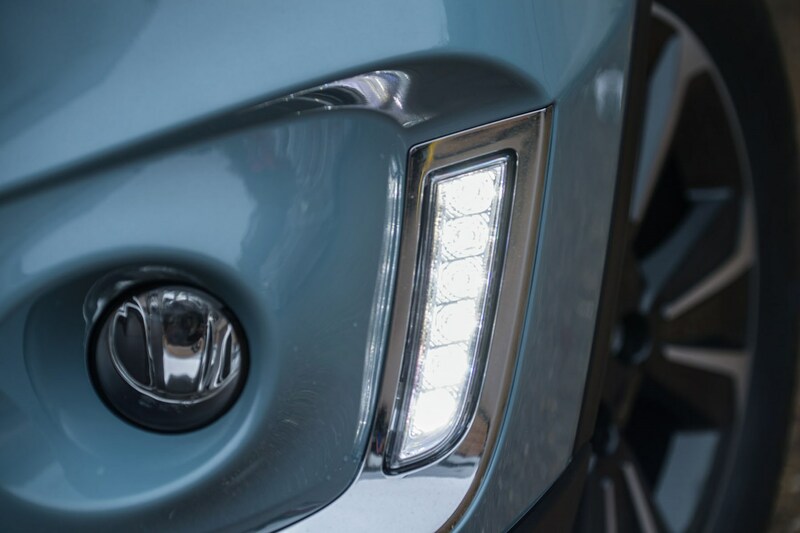 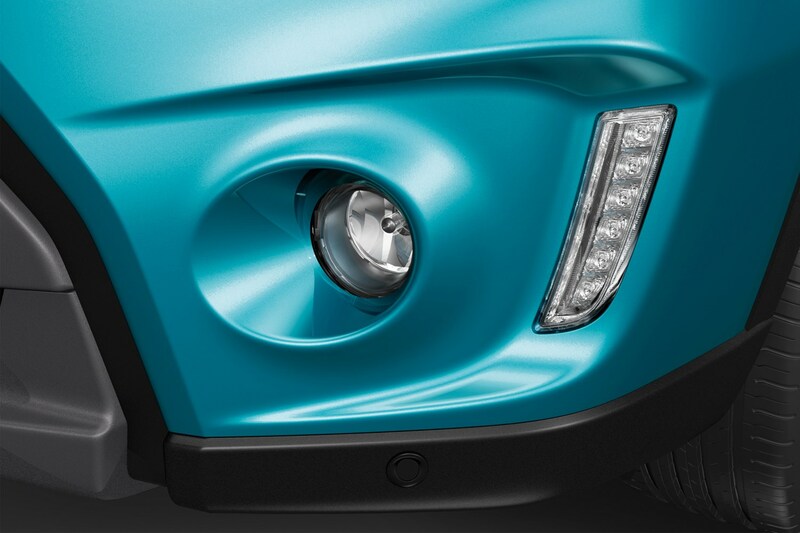 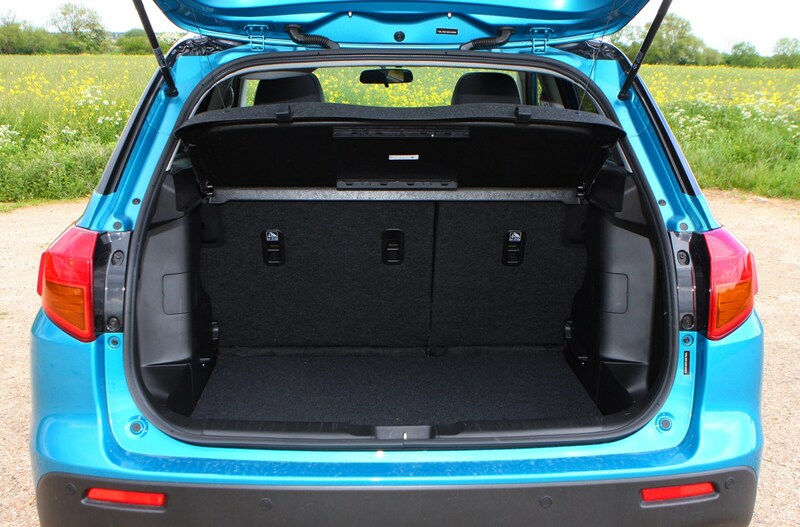 On-demand operation means it drives through the front wheels for the majority of the time, only sending power to the rear axle when it detects or anticipates slip from the front. 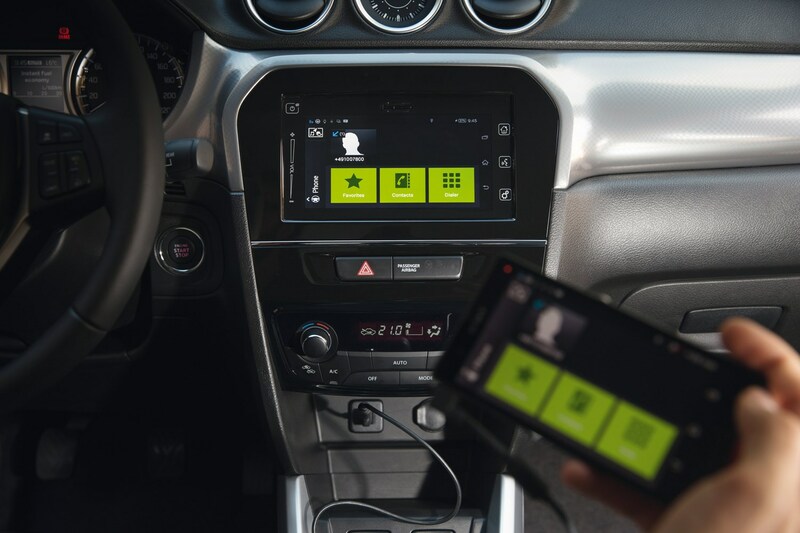 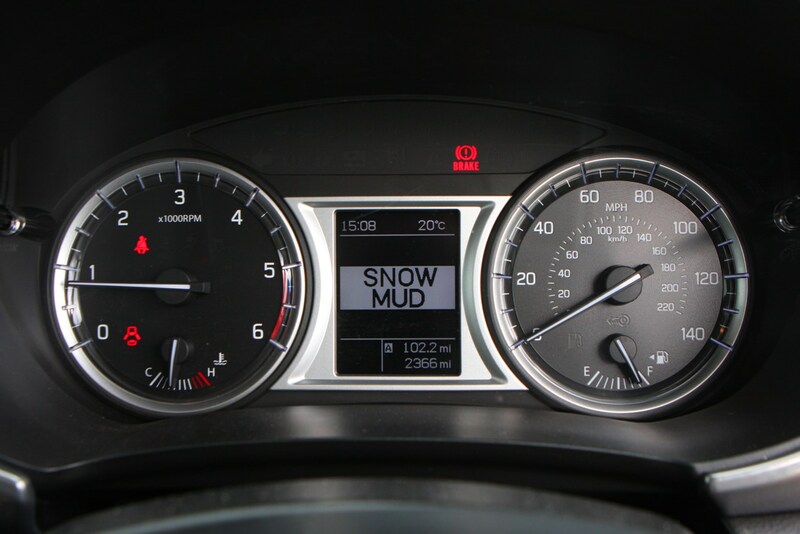 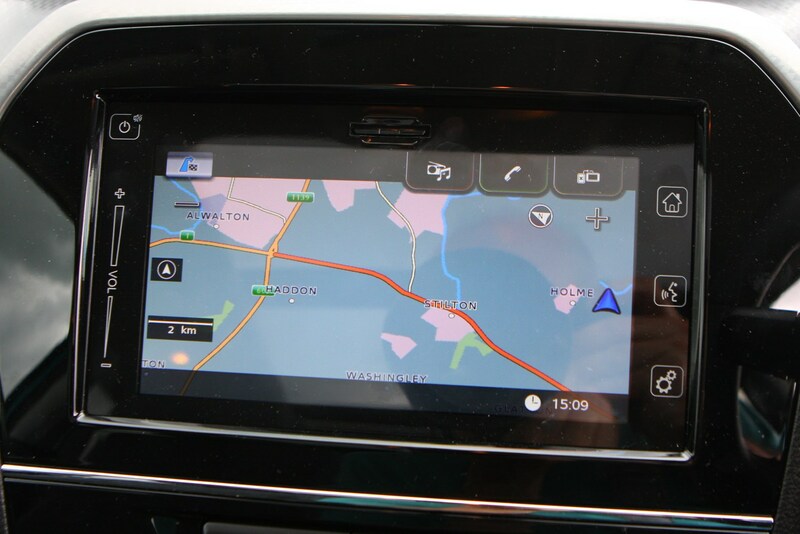 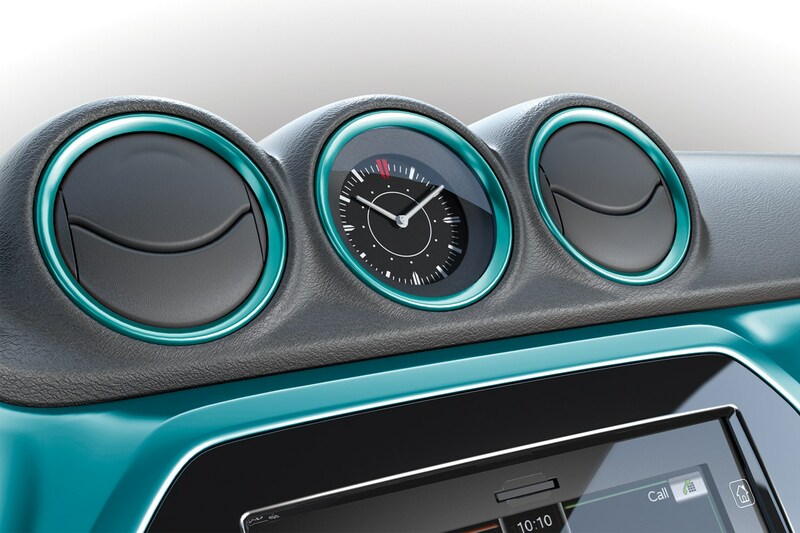 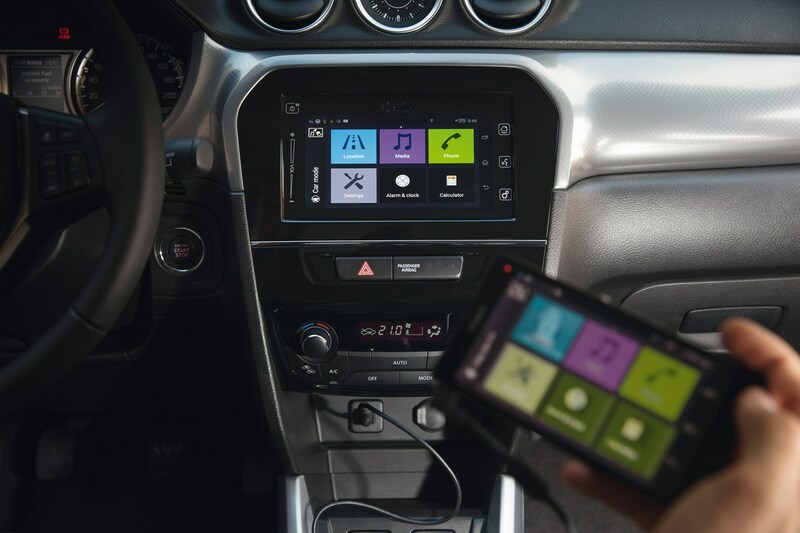 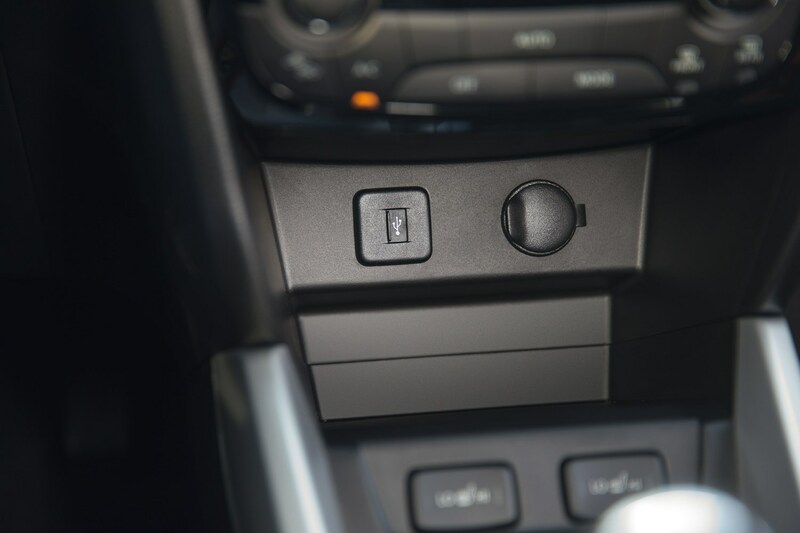 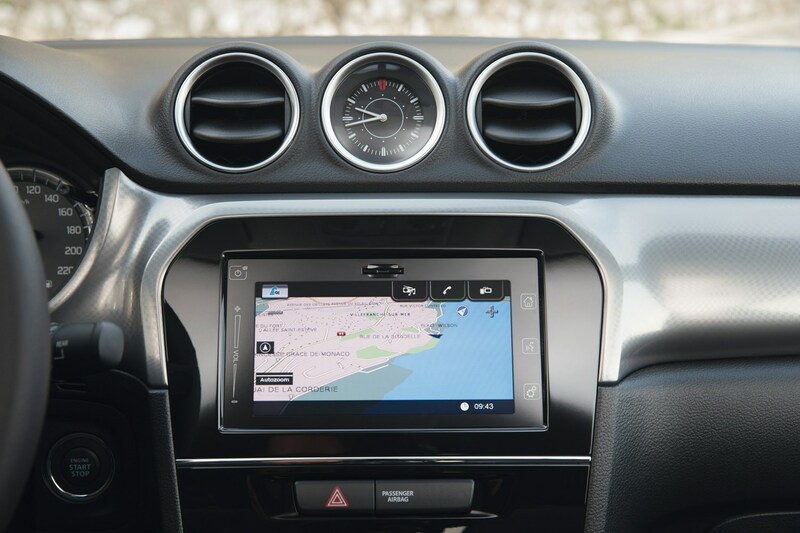 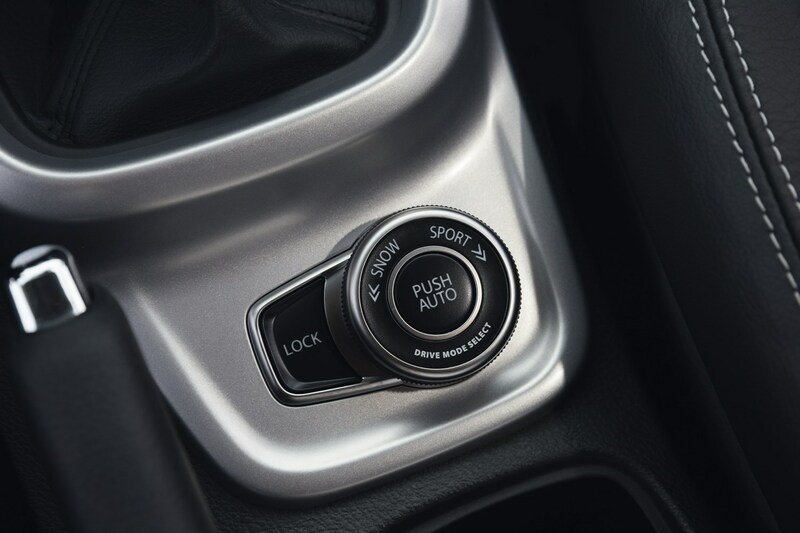 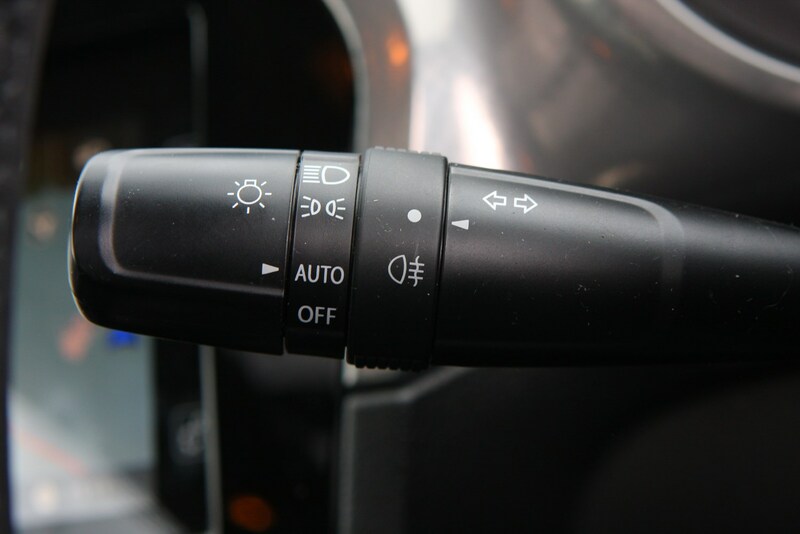 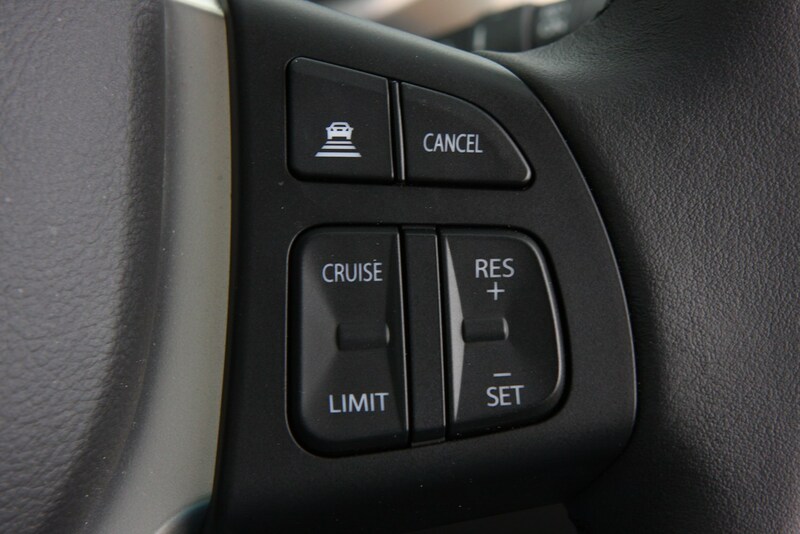 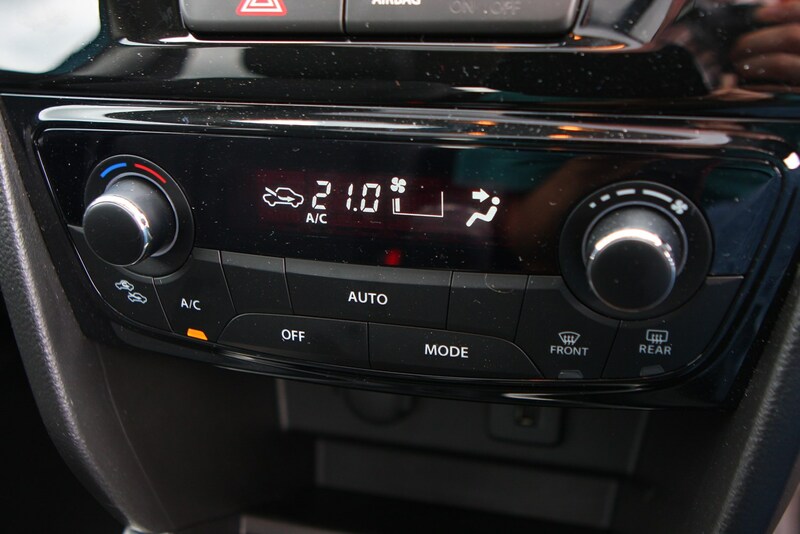 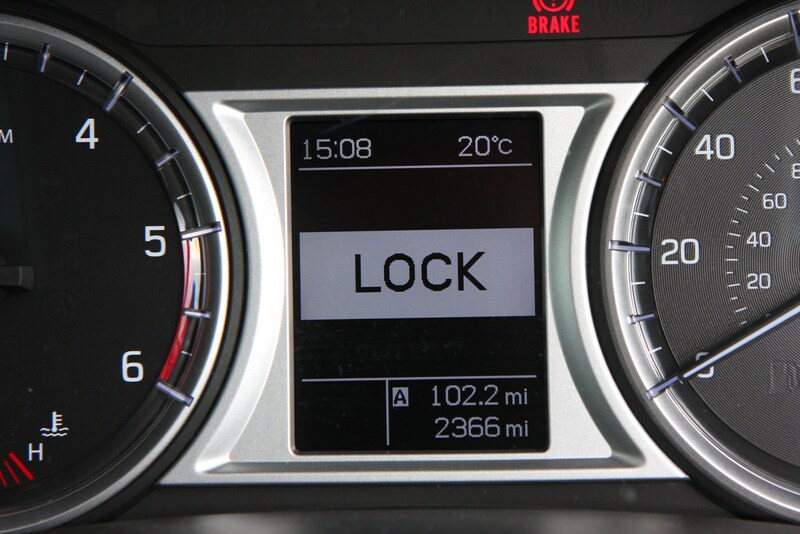 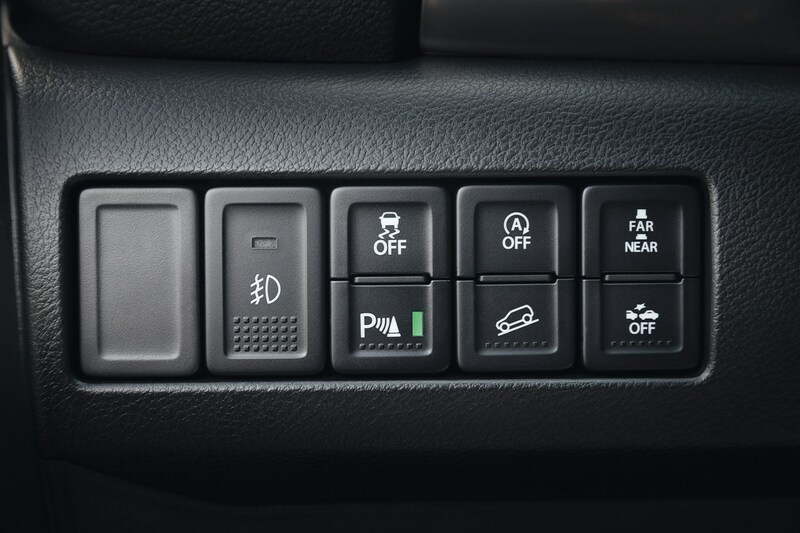 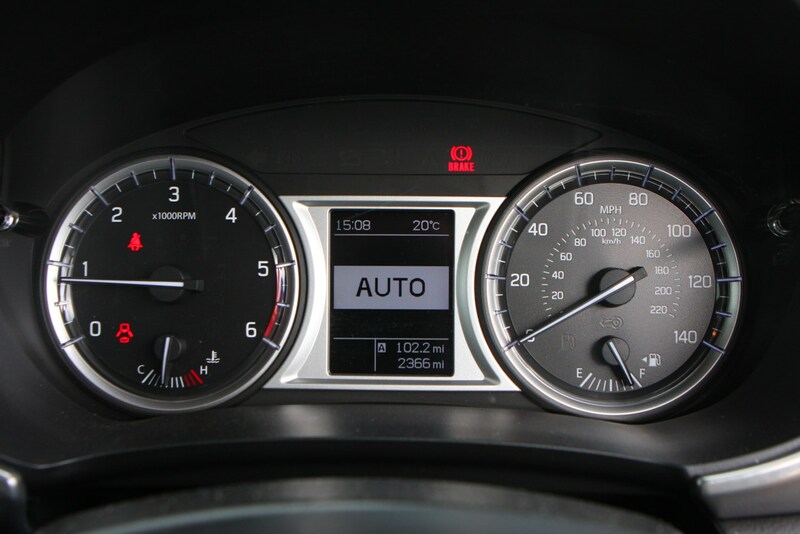 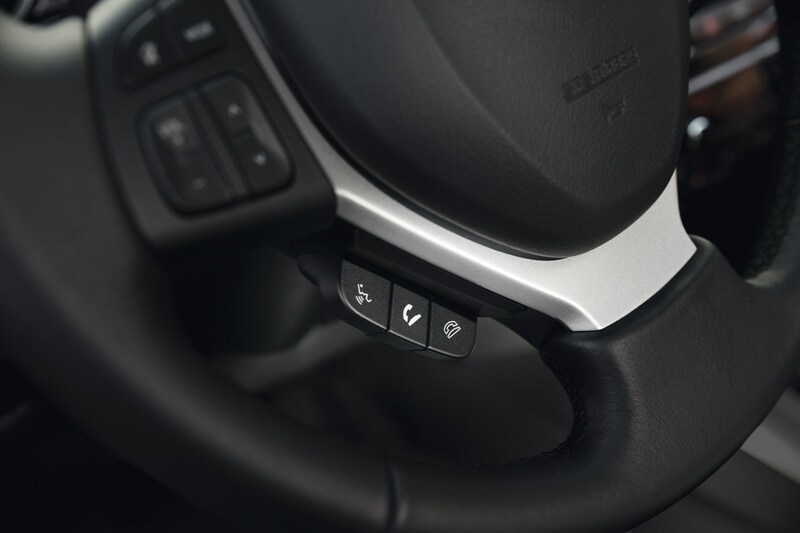 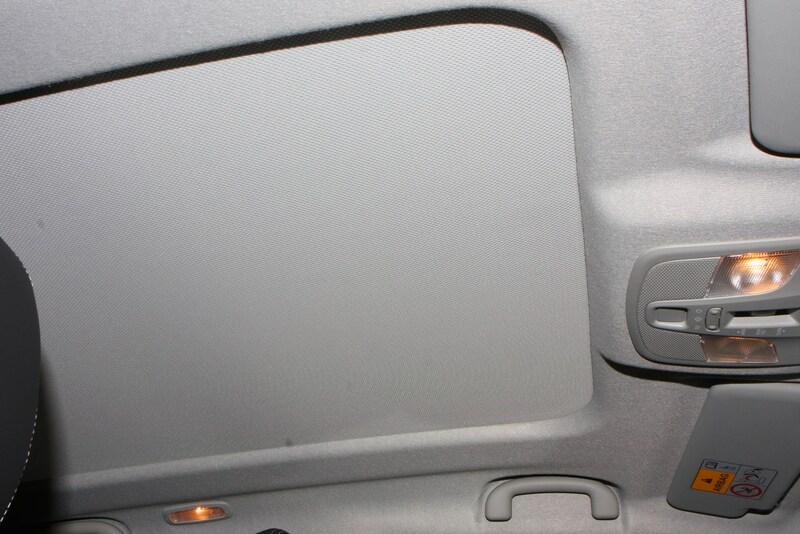 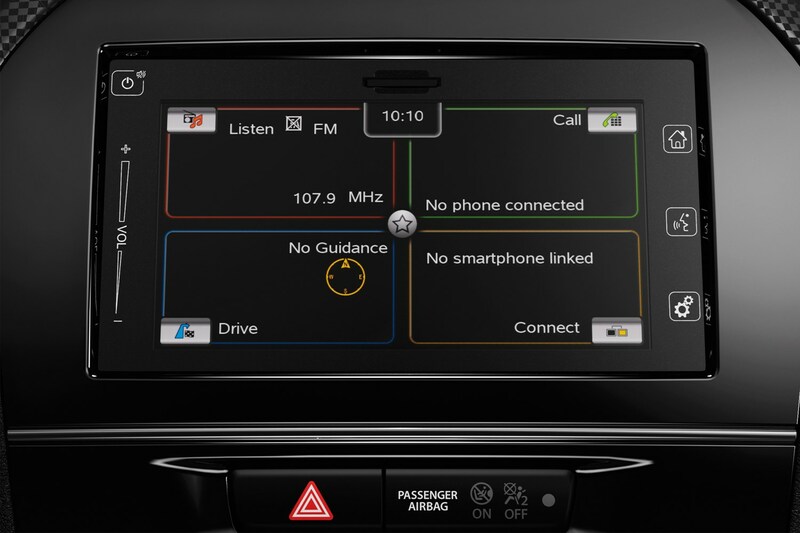 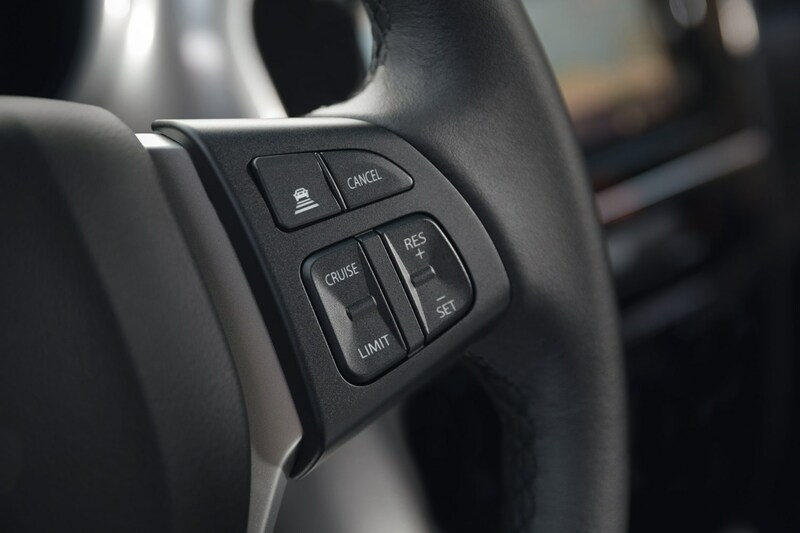 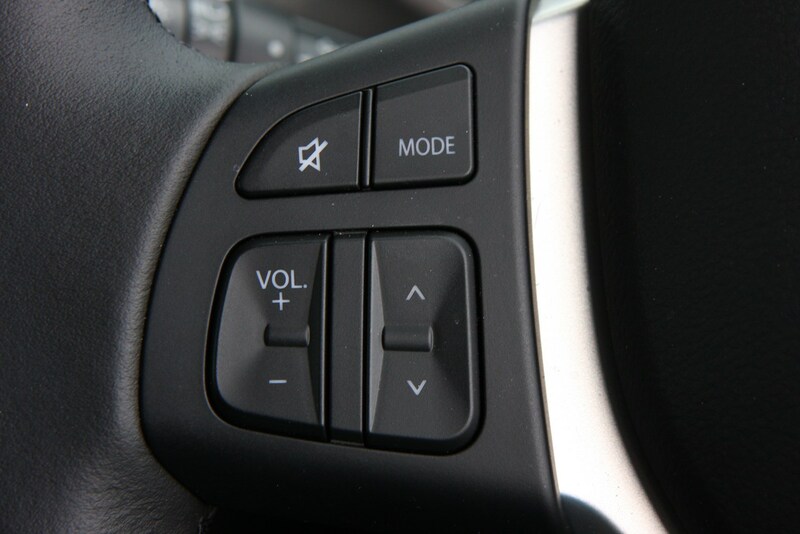 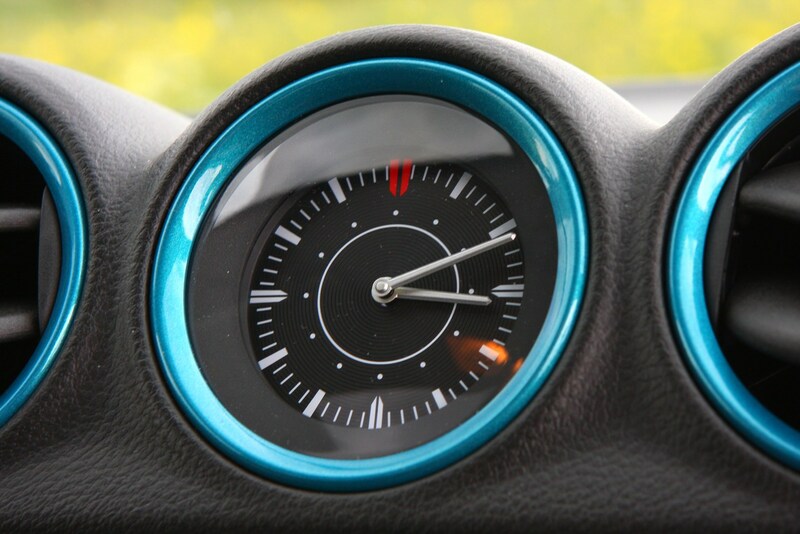 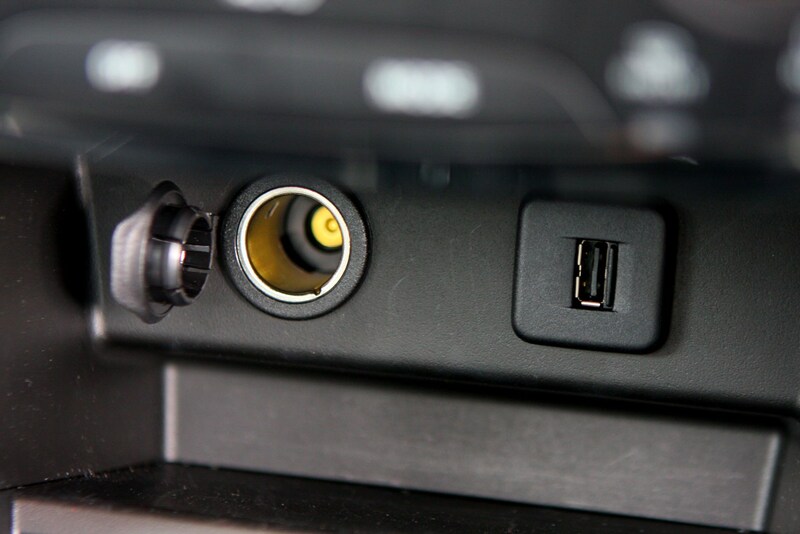 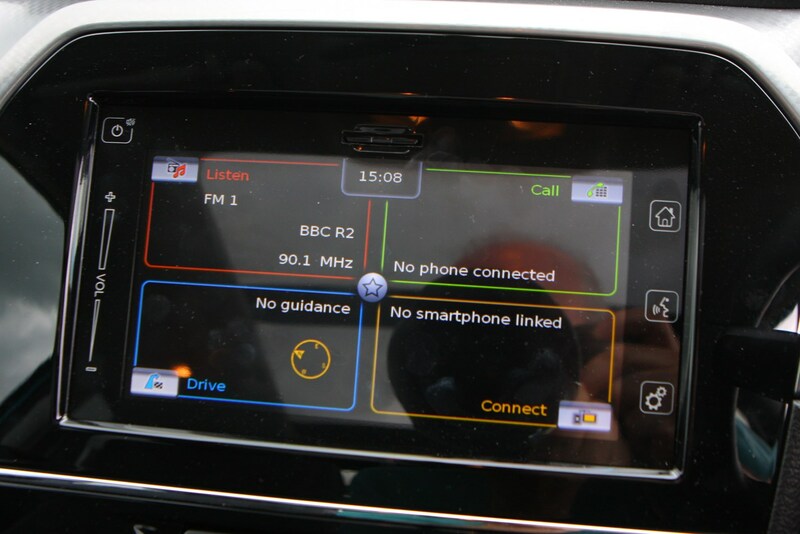 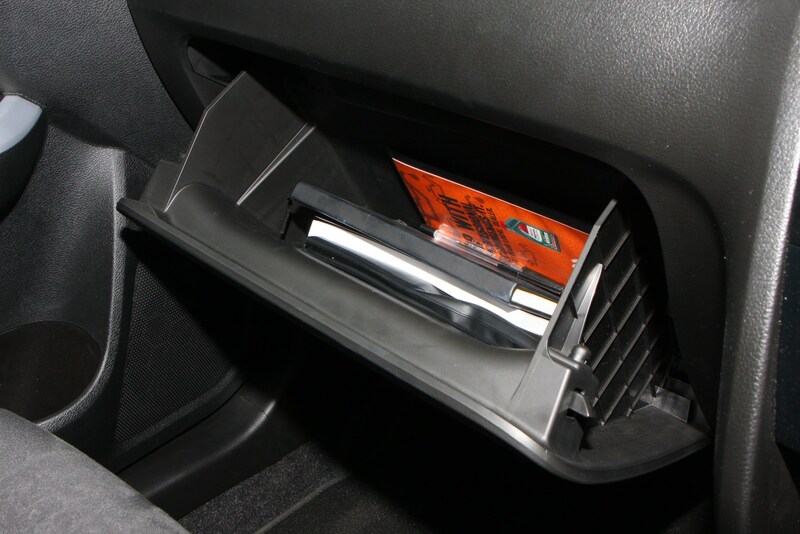 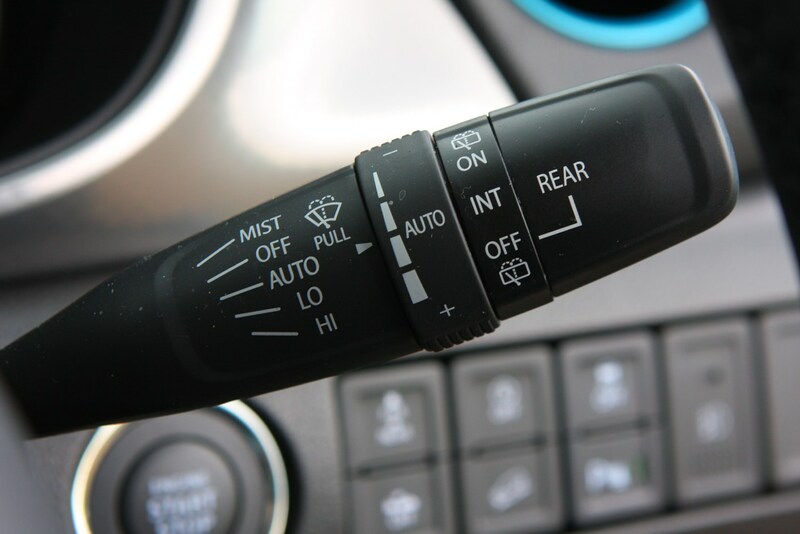 A controller in the cabin allows driver’s to toggle between Auto, Sport, Snow and Lock modes on the move. 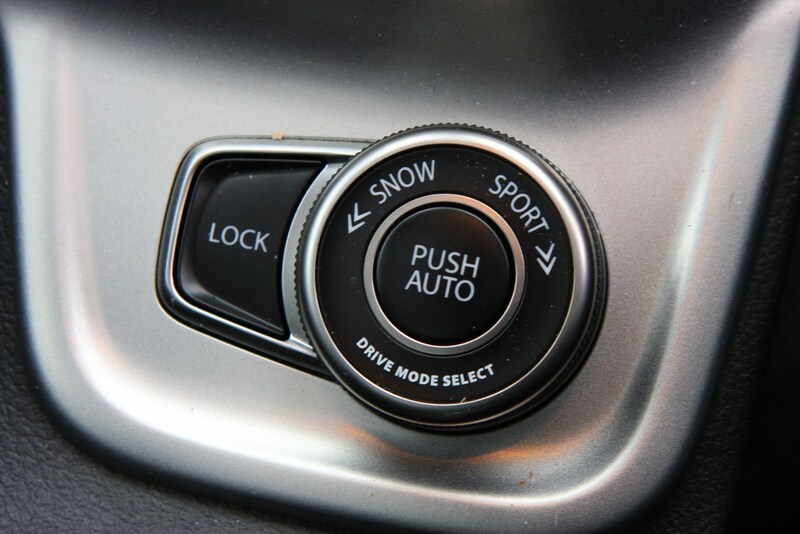 The first shuffles the power where it needs it, Sport optimises the system’s responses for sharper cornering and performance, Snow uses four-wheel drive by default for slippery situations and Lock mode makes use of the differential to release the car when stuck in snow, mud or sand. 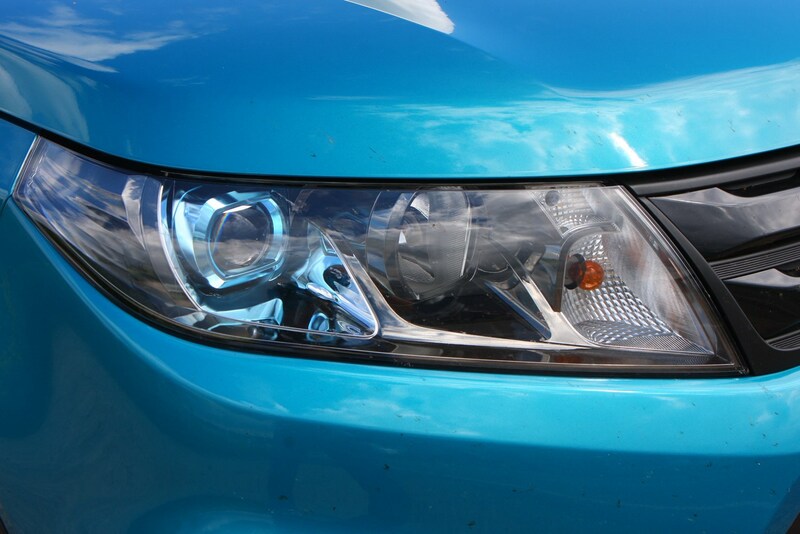 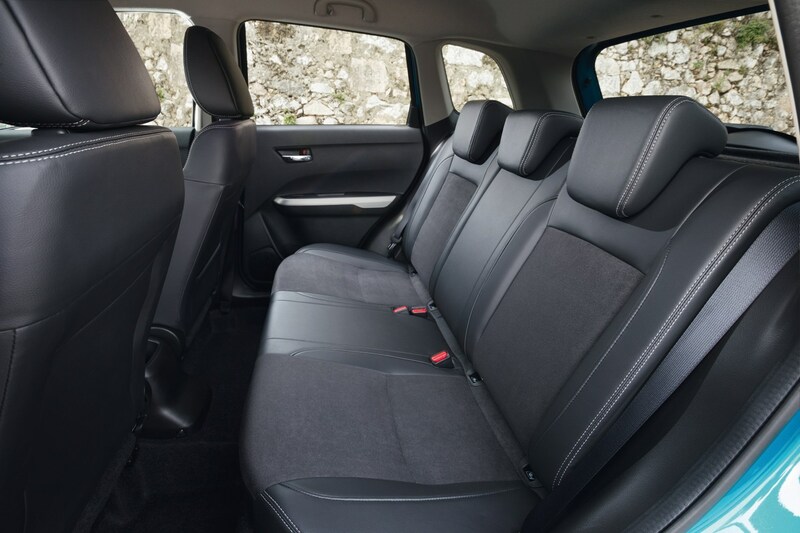 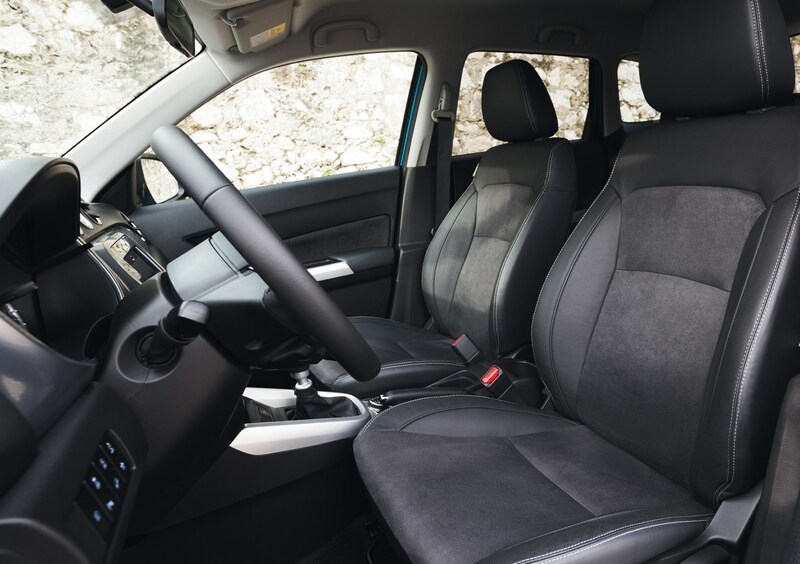 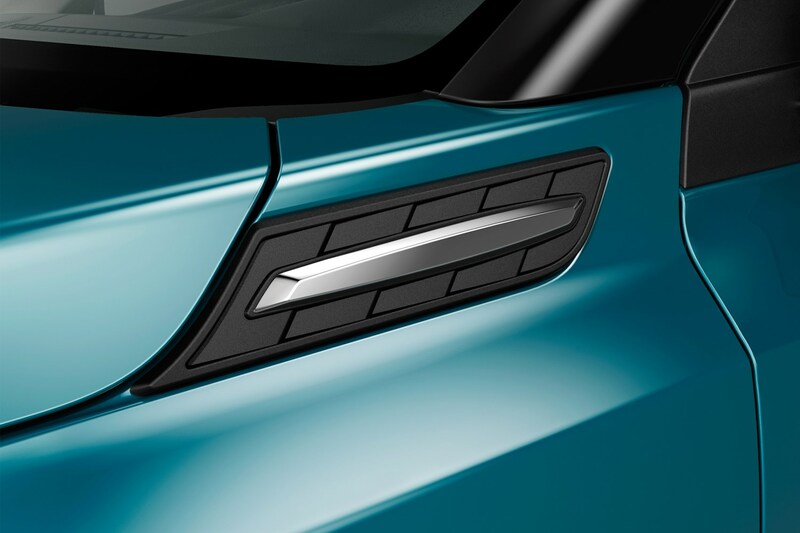 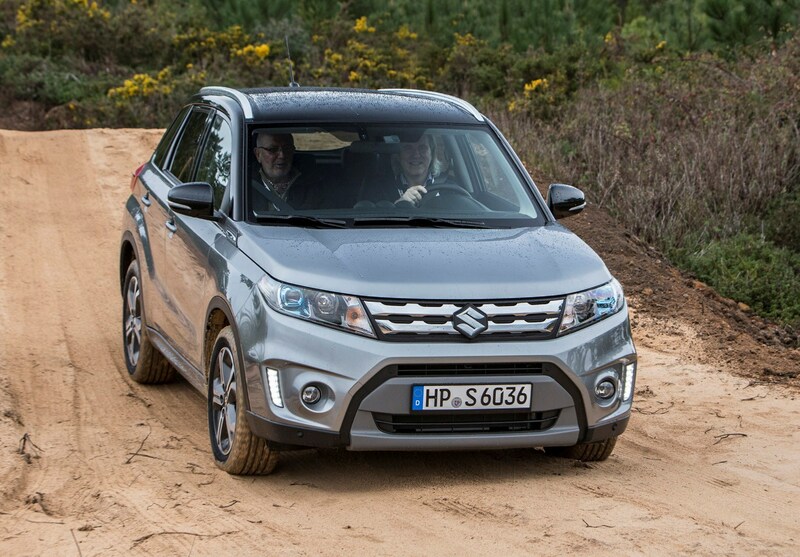 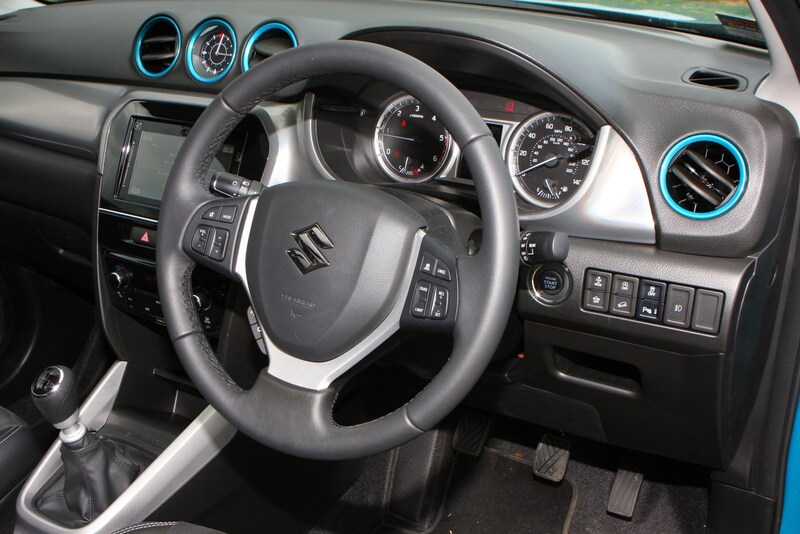 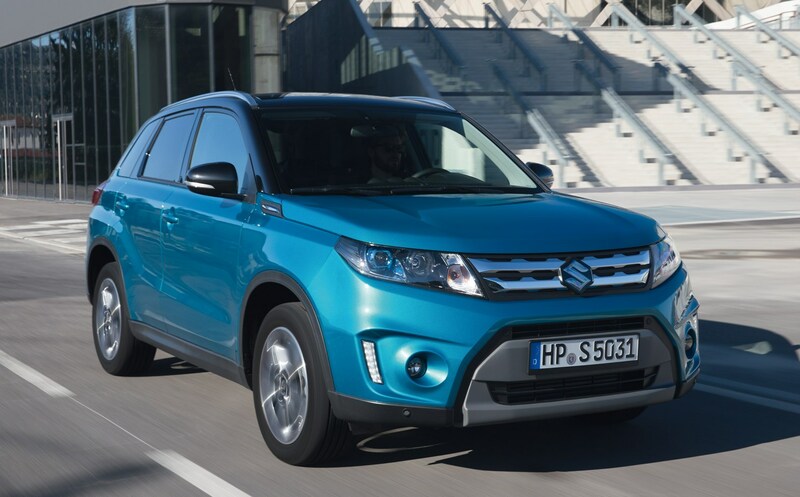 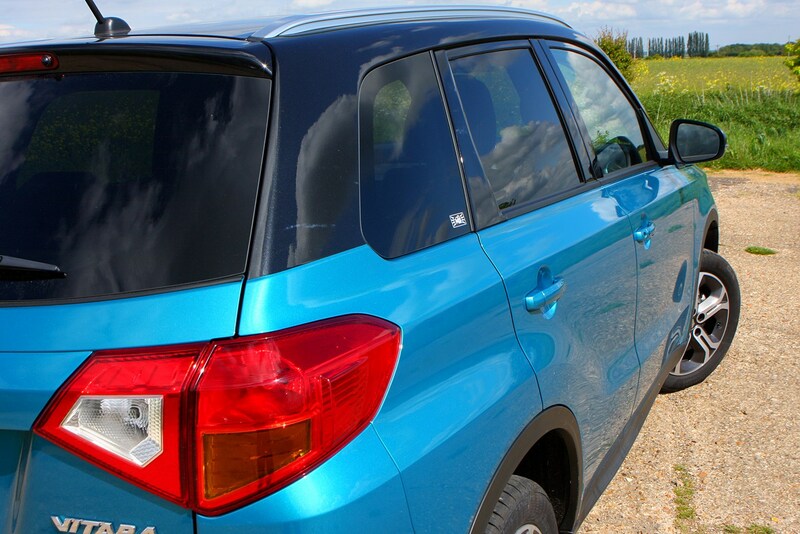 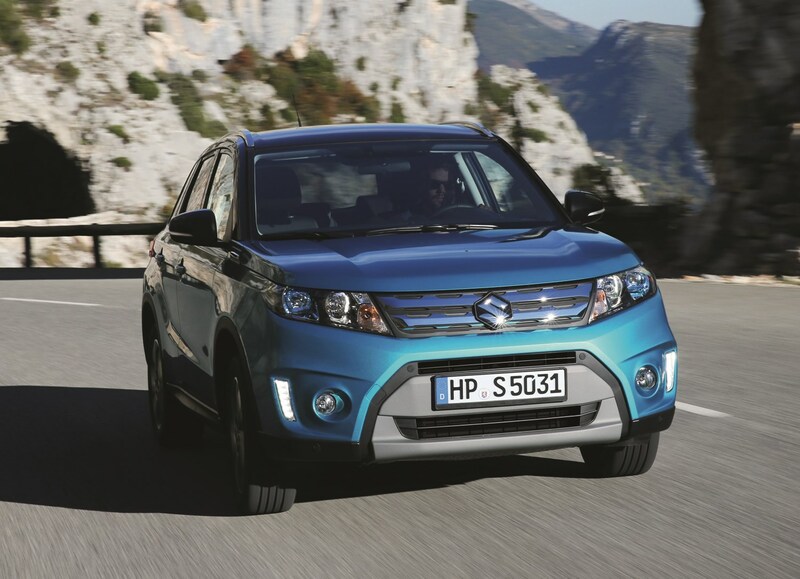 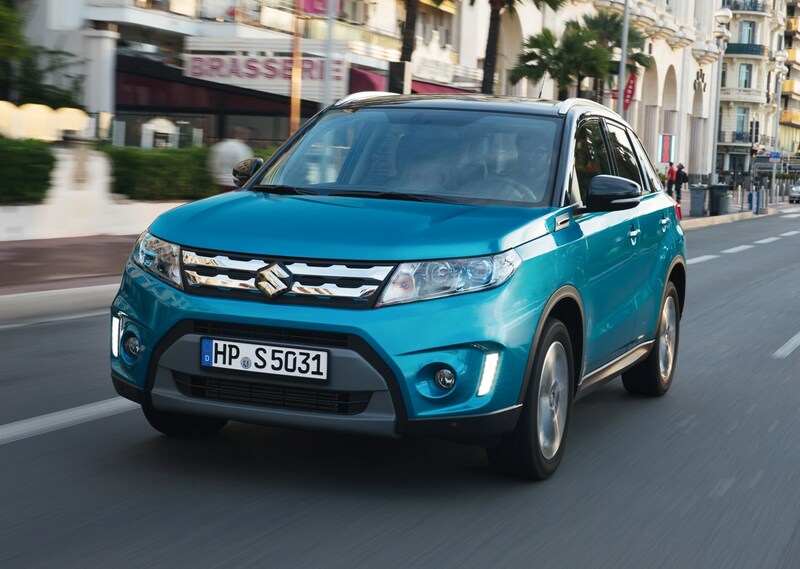 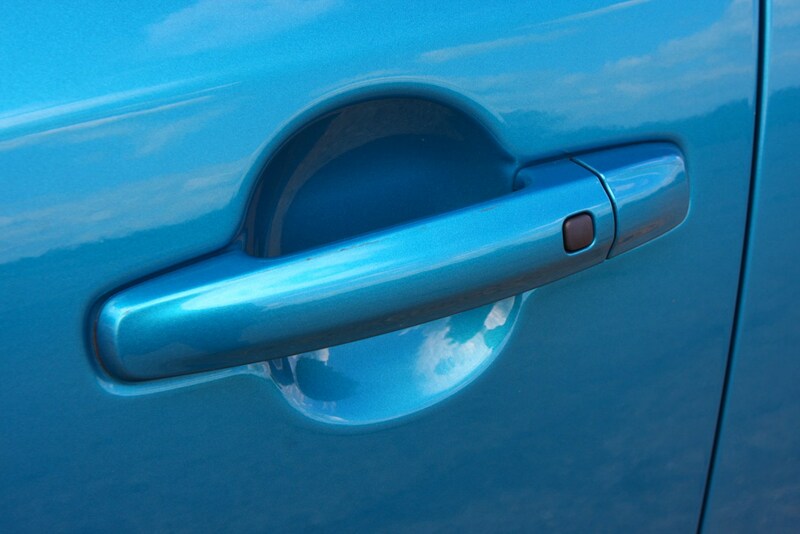 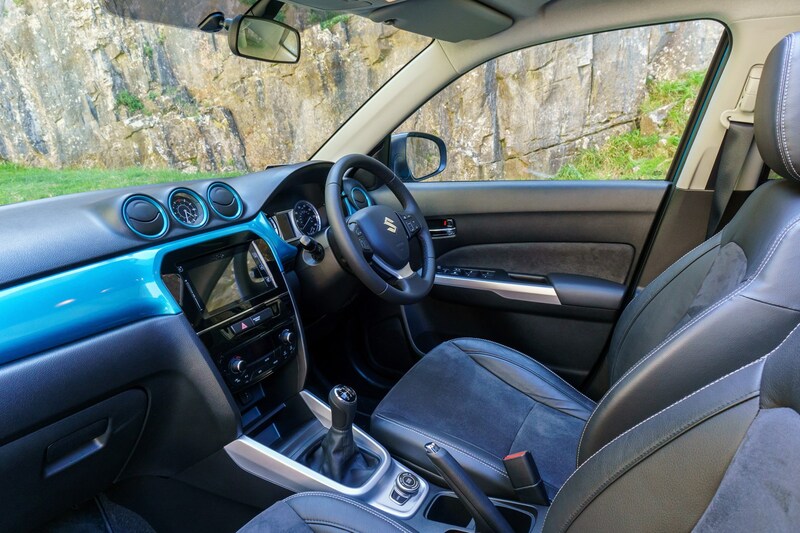 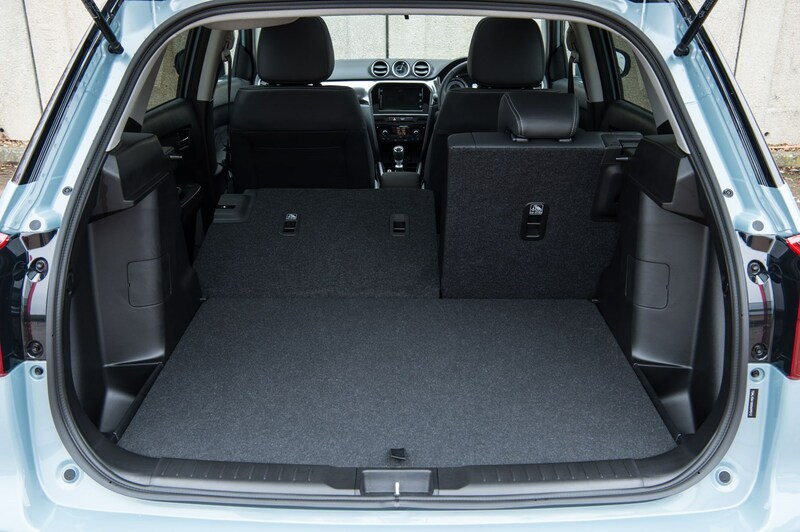 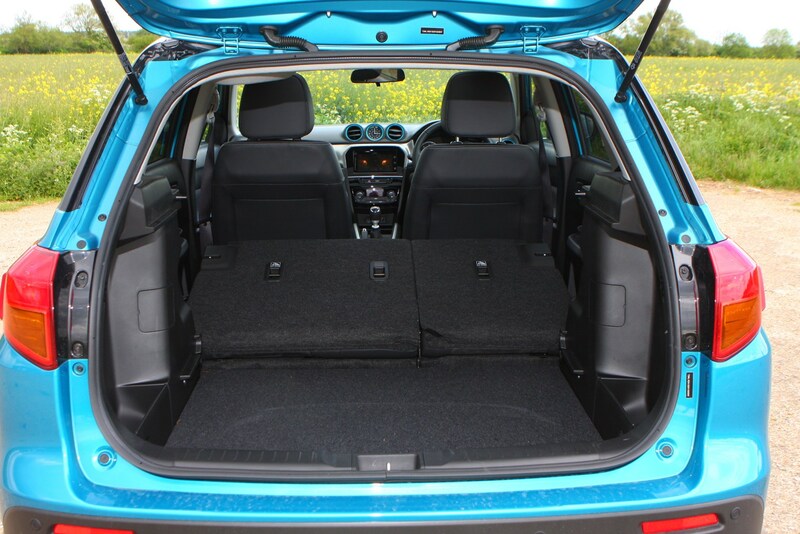 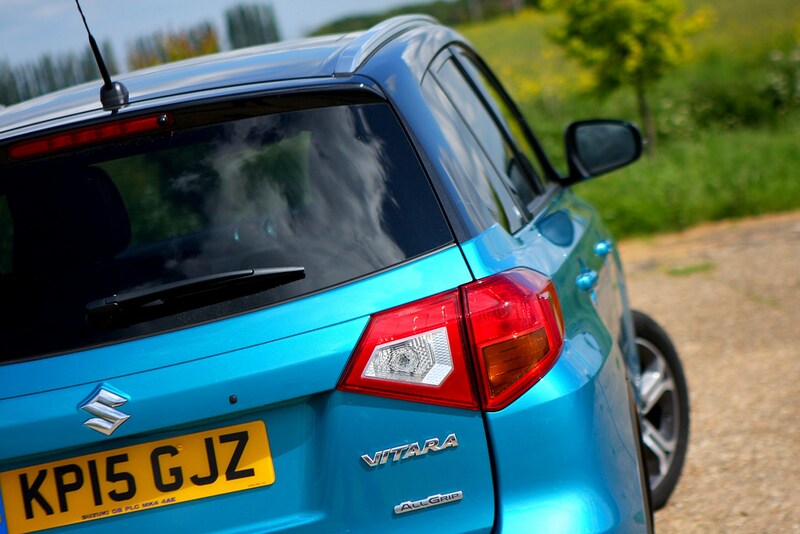 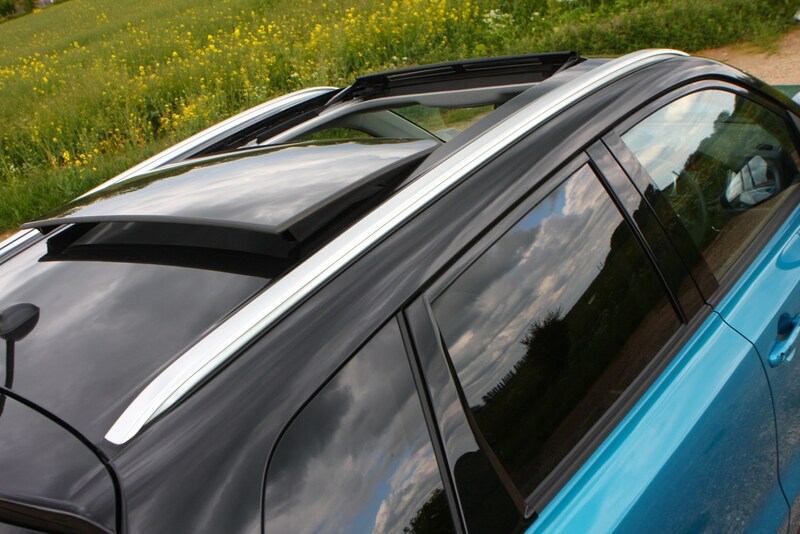 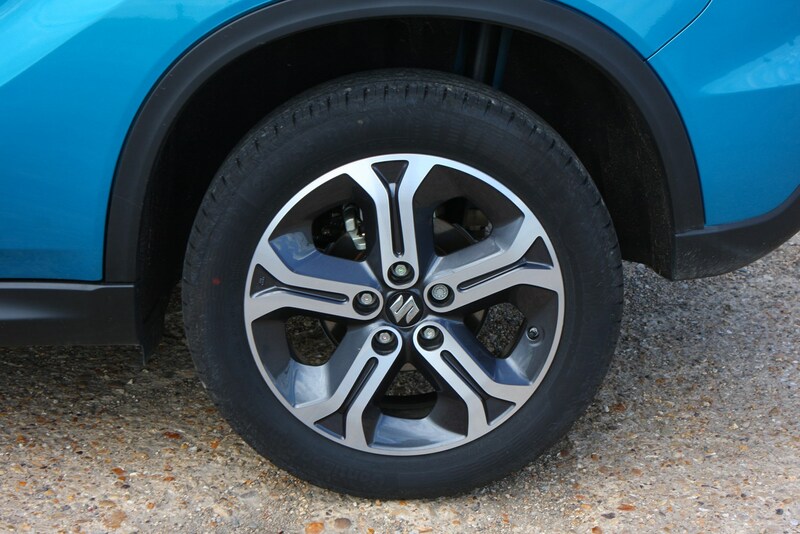 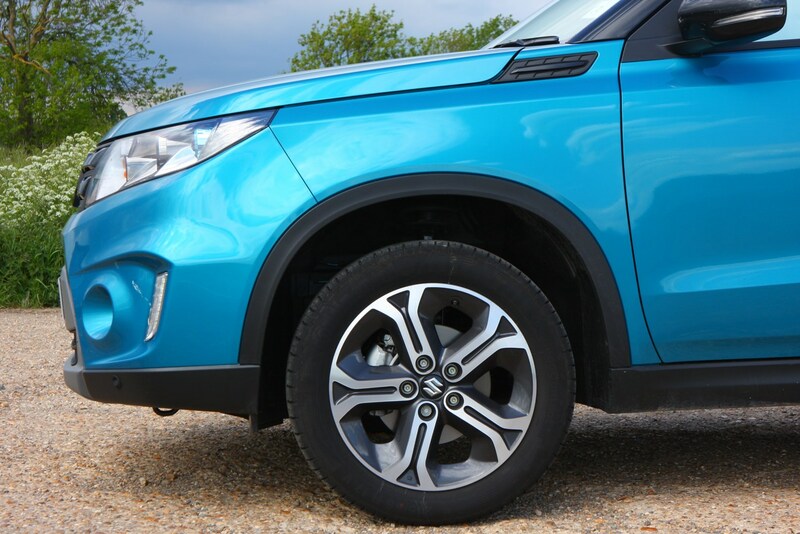 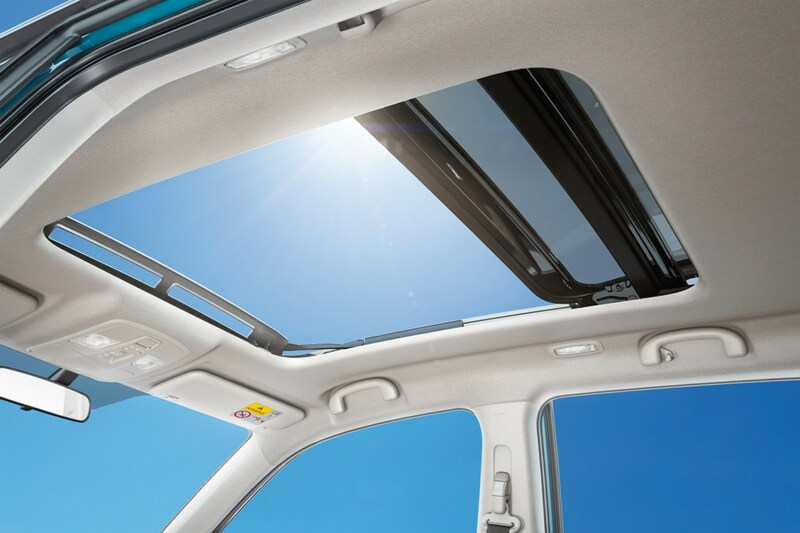 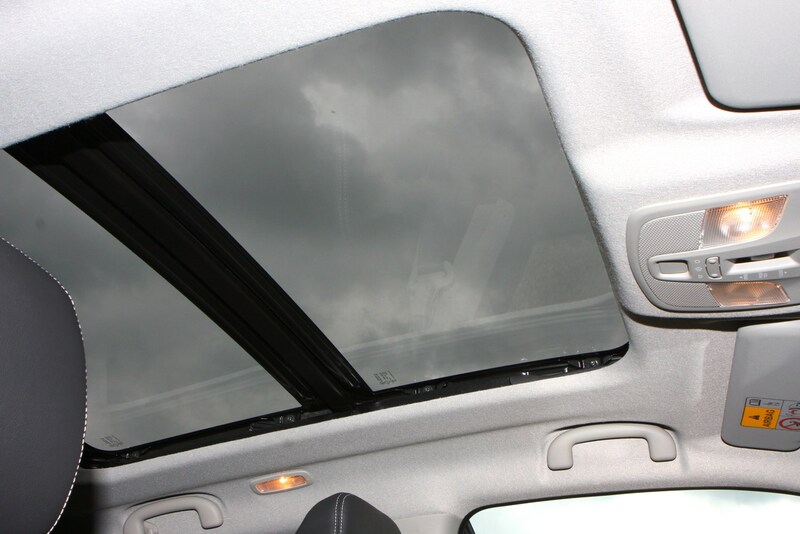 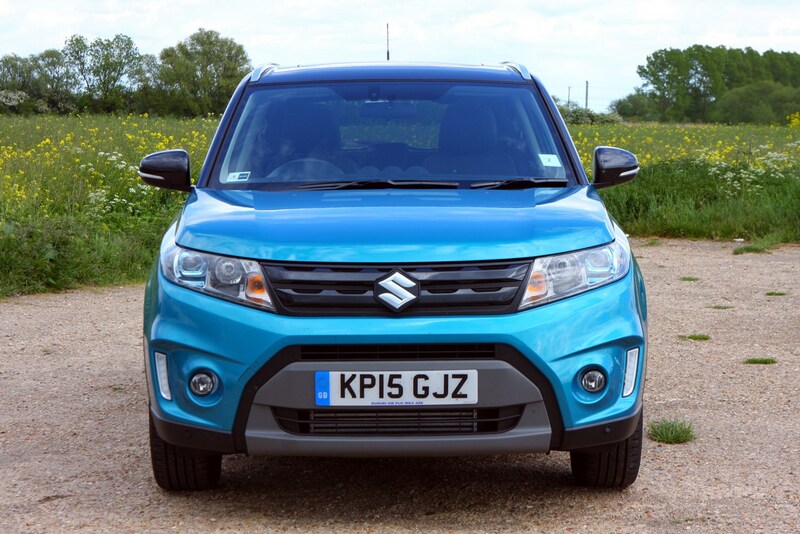 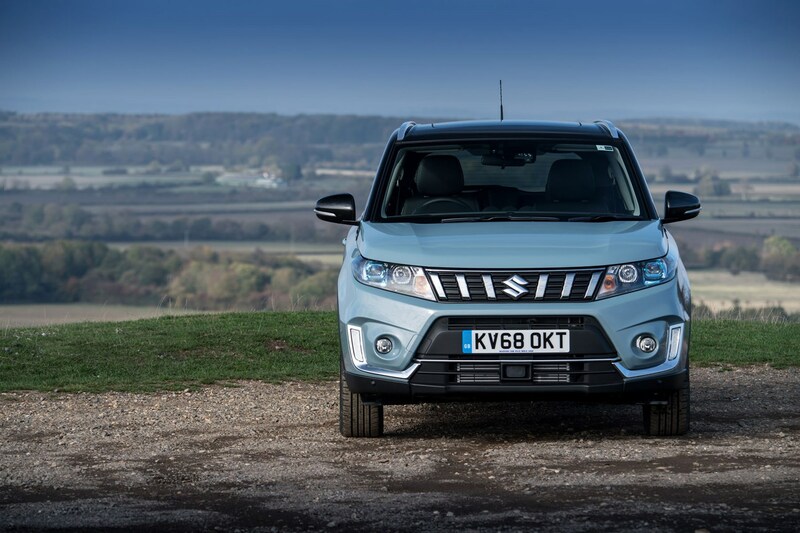 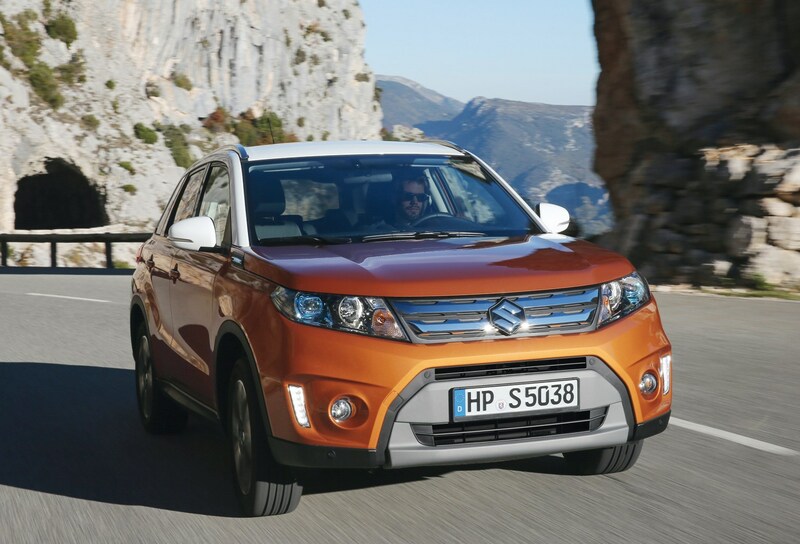 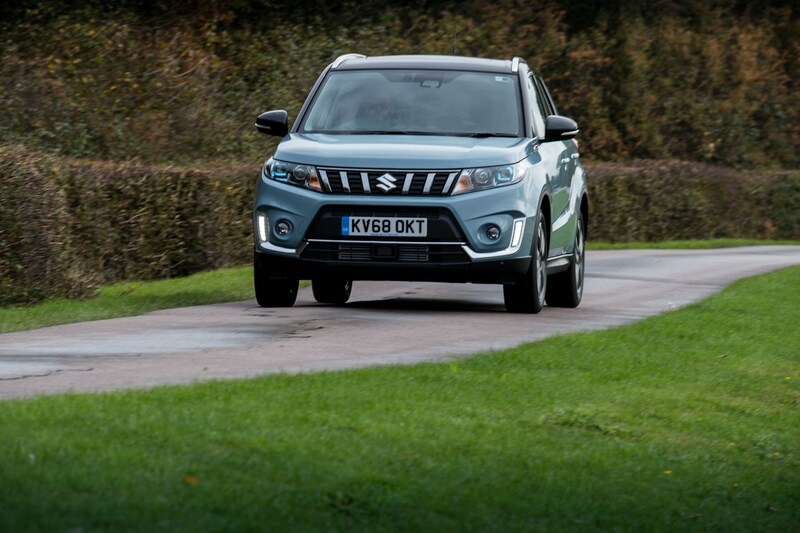 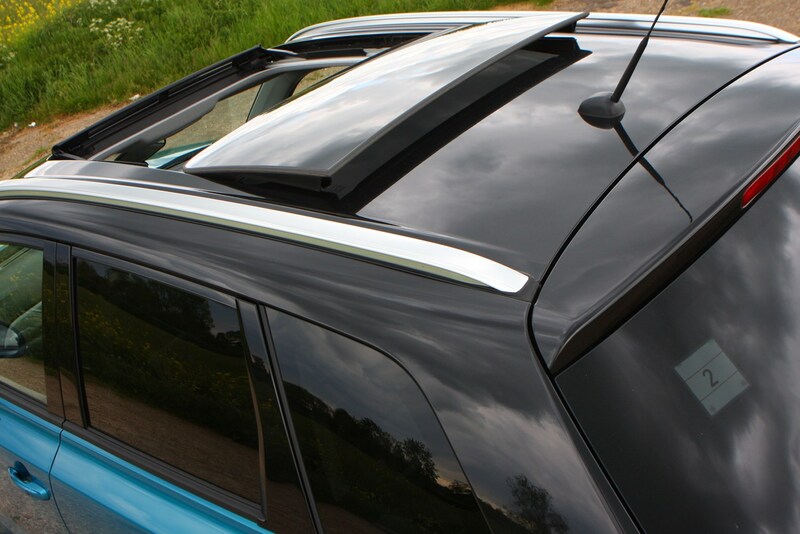 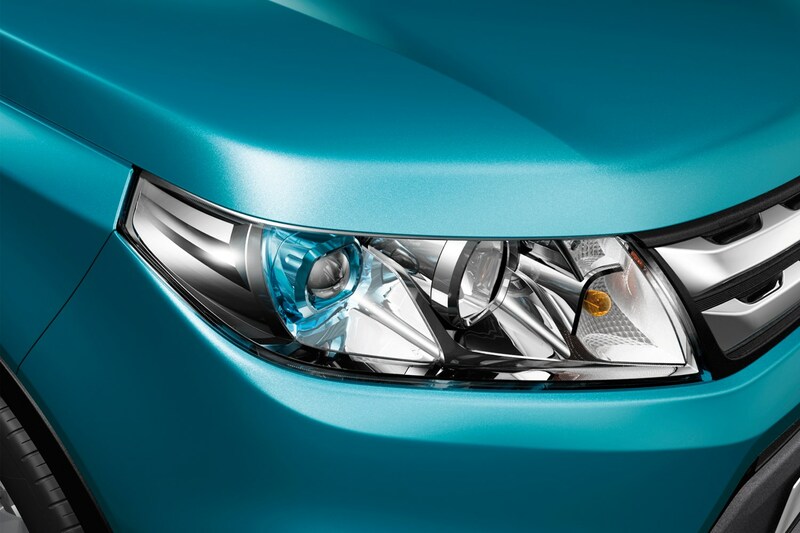 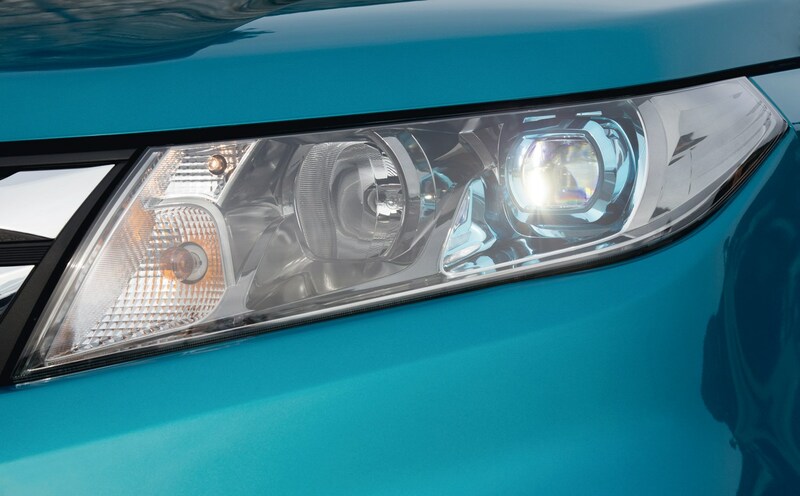 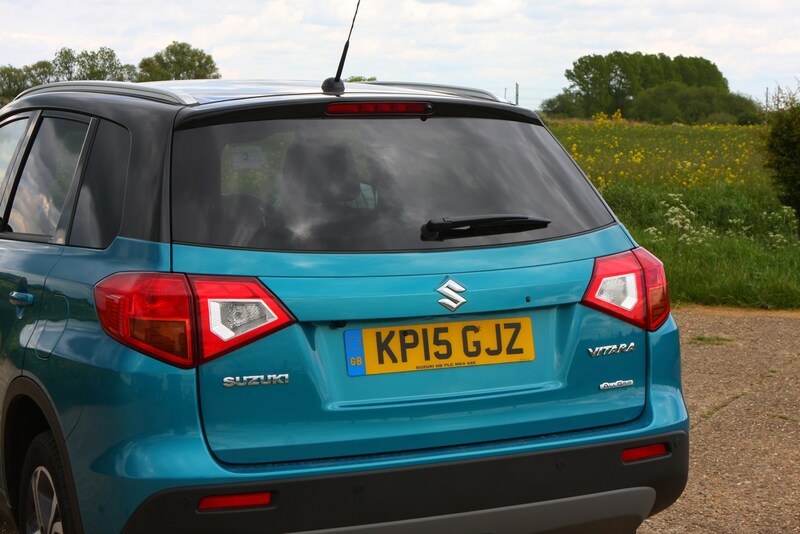 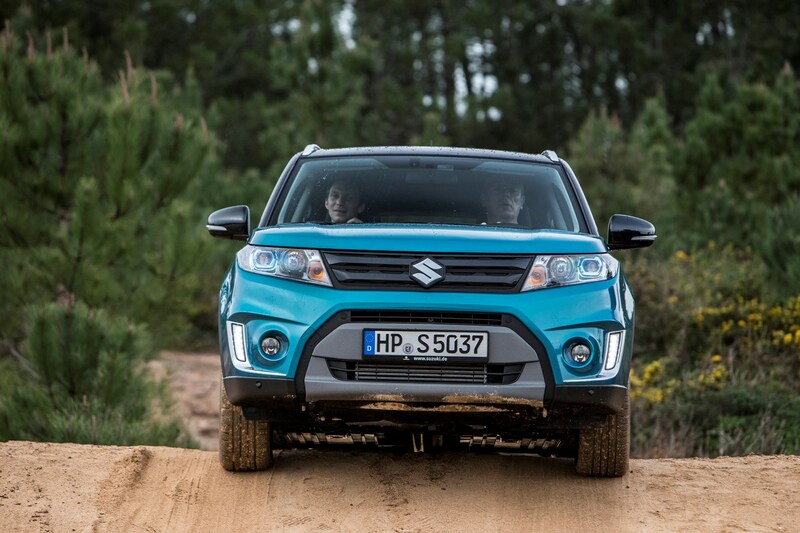 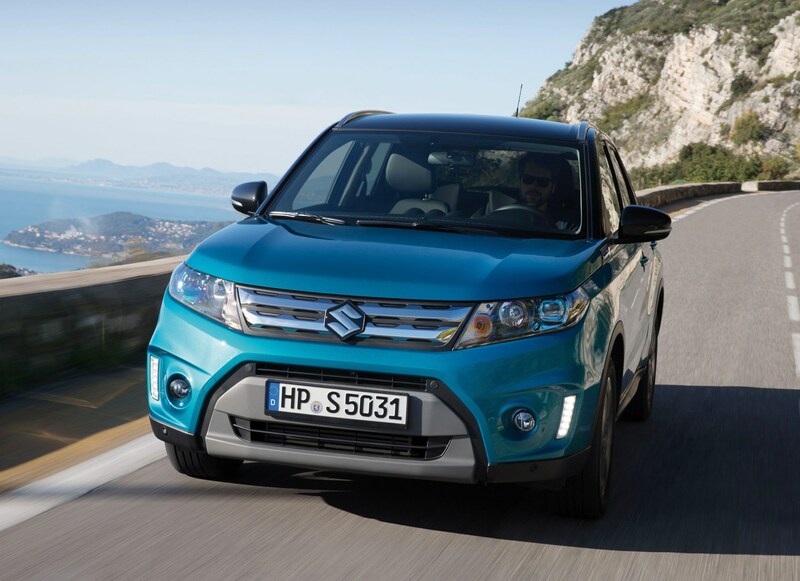 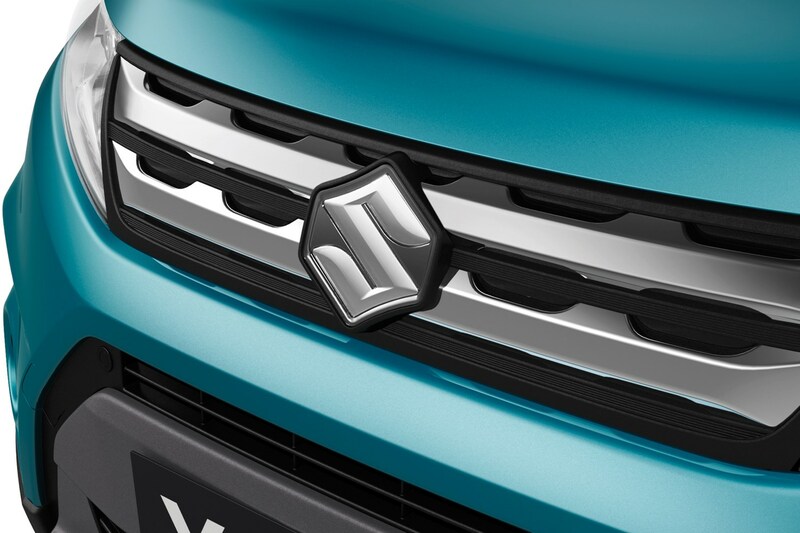 Suzuki keeps its ranges simple, with a choice of three trims available for the Vitara: SZ4, SZ-T and SZ5. 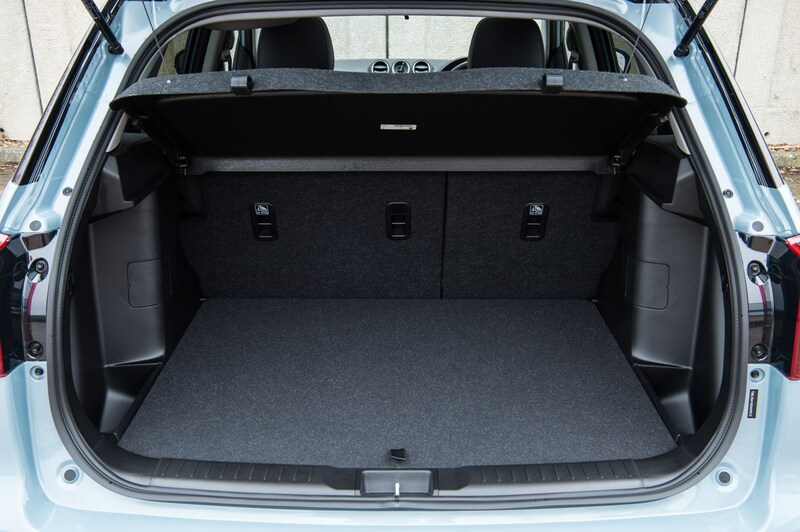 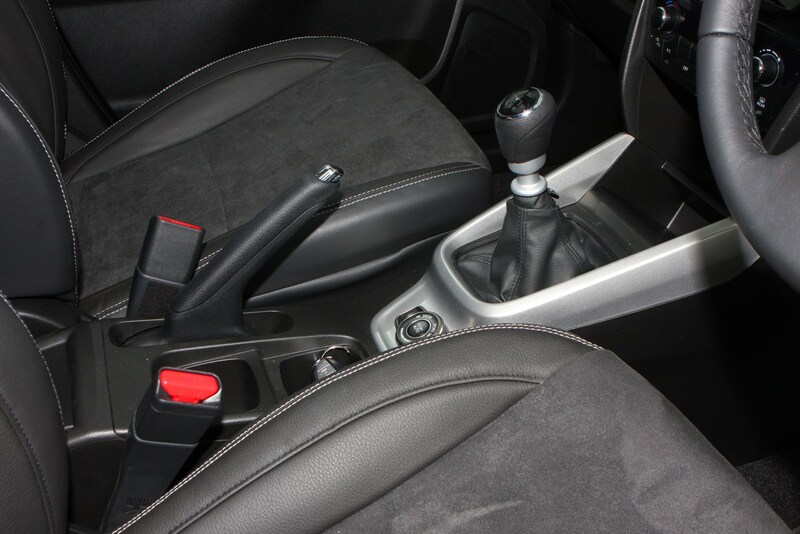 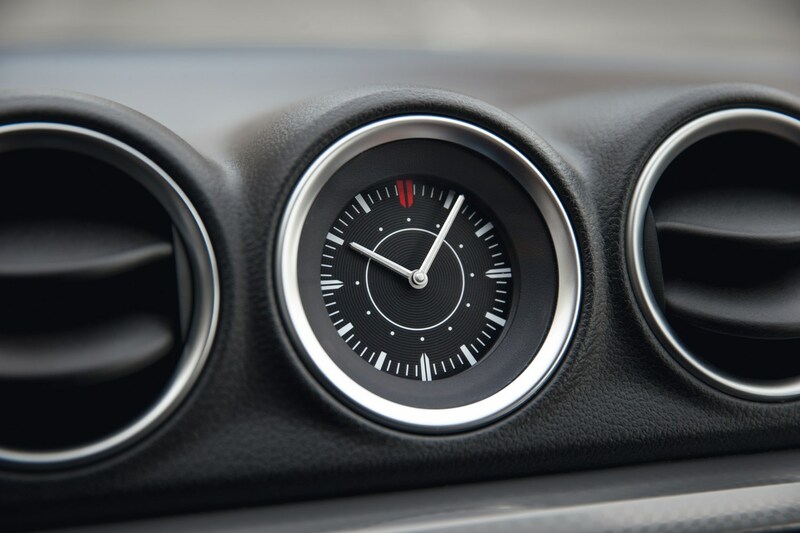 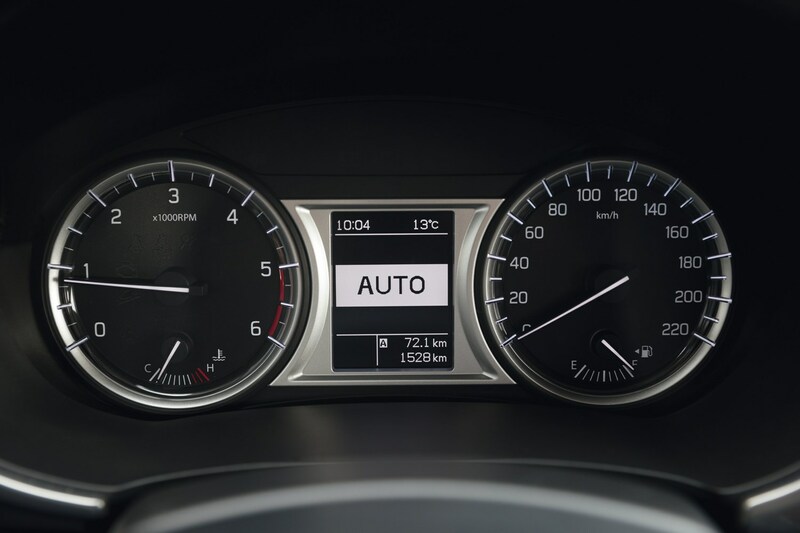 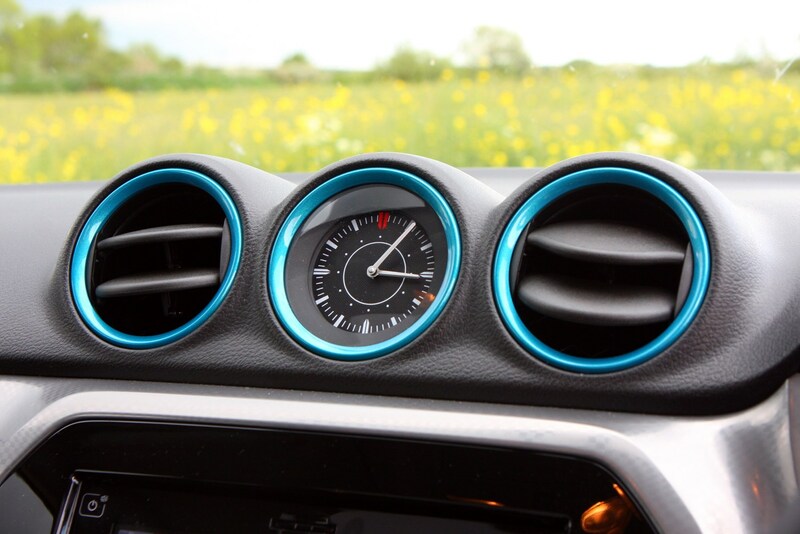 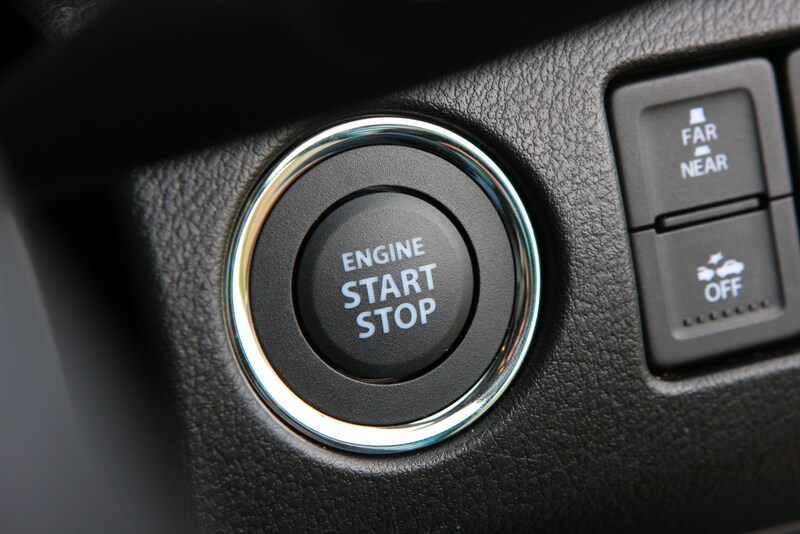 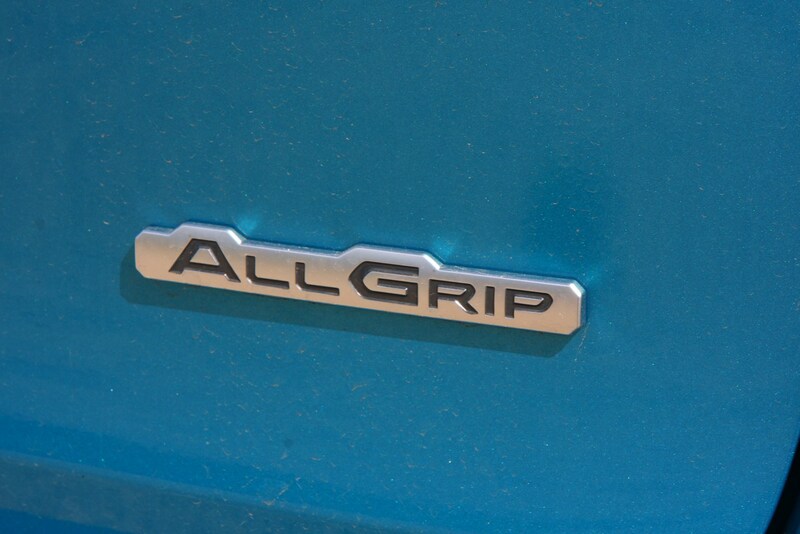 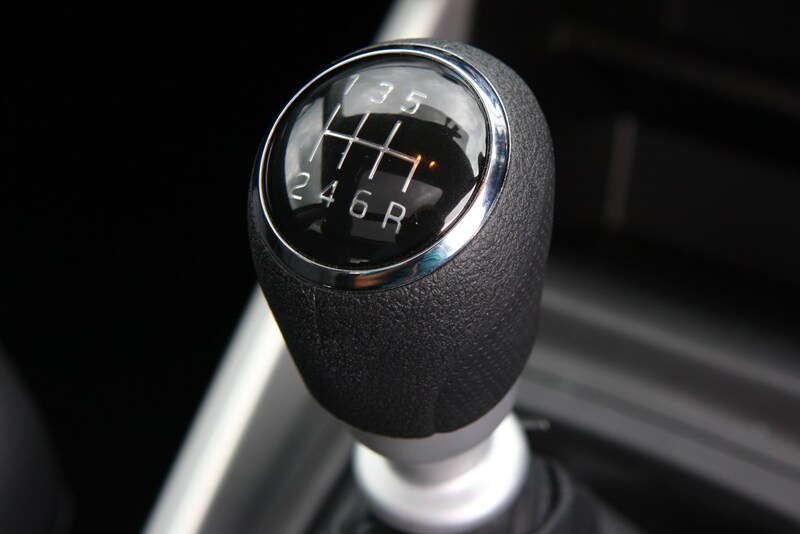 Not all engine/gearbox/Allgrip combinations are available on all trim levels, so check the finer details if you have a specific combination in mind. 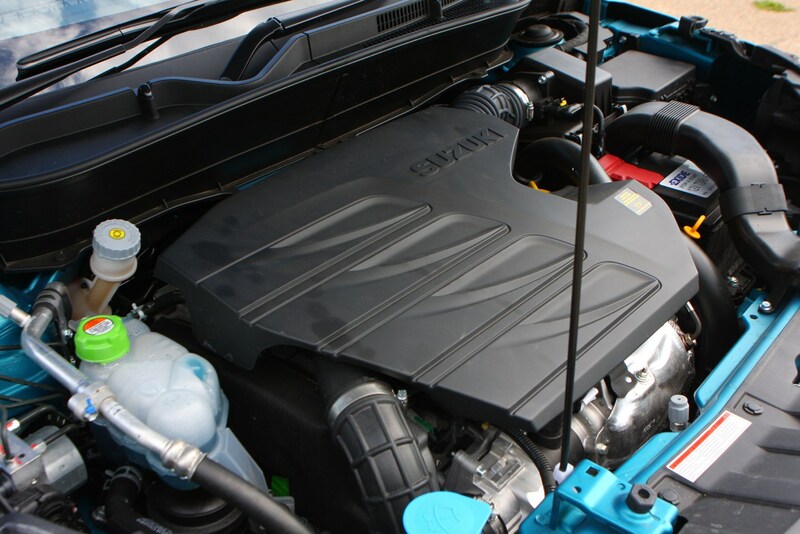 For example, you can only get the SZ4 with the manual 1.0-litre Boosterjet, and the SZ5 is only available with the higher-powered 1.4. 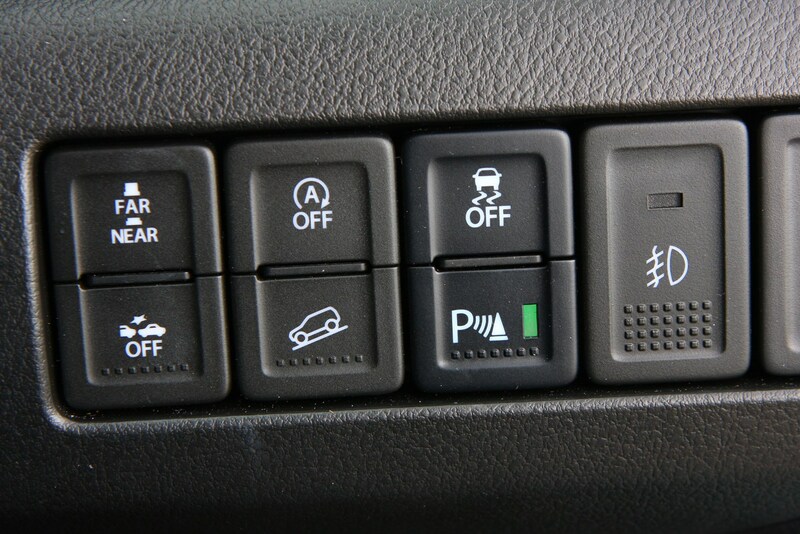 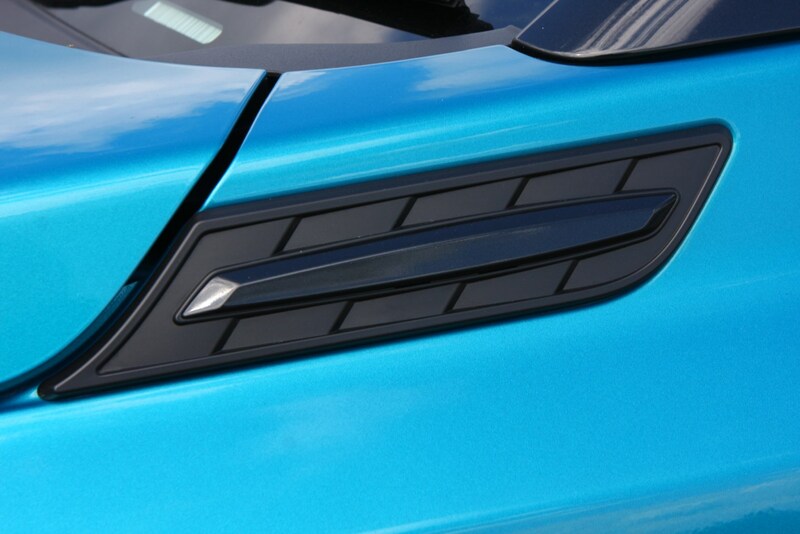 All come equipped with as much equipment as you could possibly want, with alloy wheels, LED daytime running lights, climate control, cruise control and Bluetooth standard on all cars, while top-of-the-range models are packed with full LED lights, panoramic sunroof, keyless entry, suede seats and a range of advanced driver assistance and safety technology. 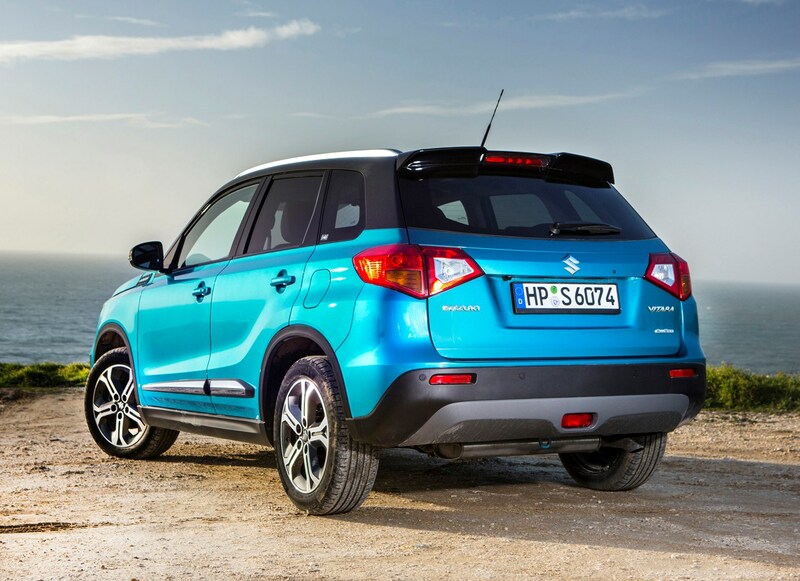 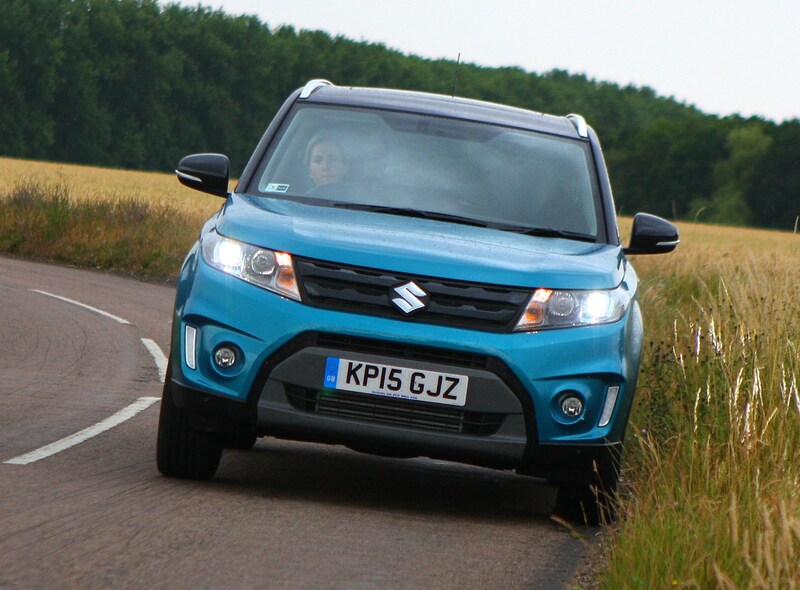 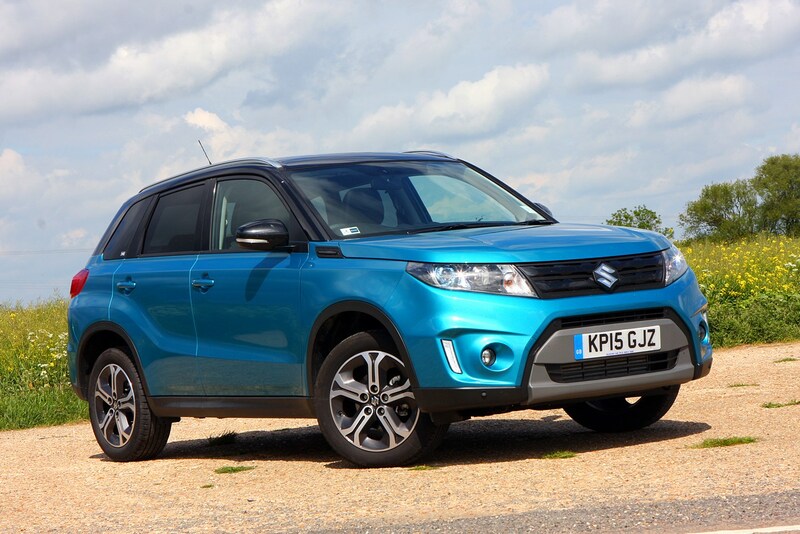 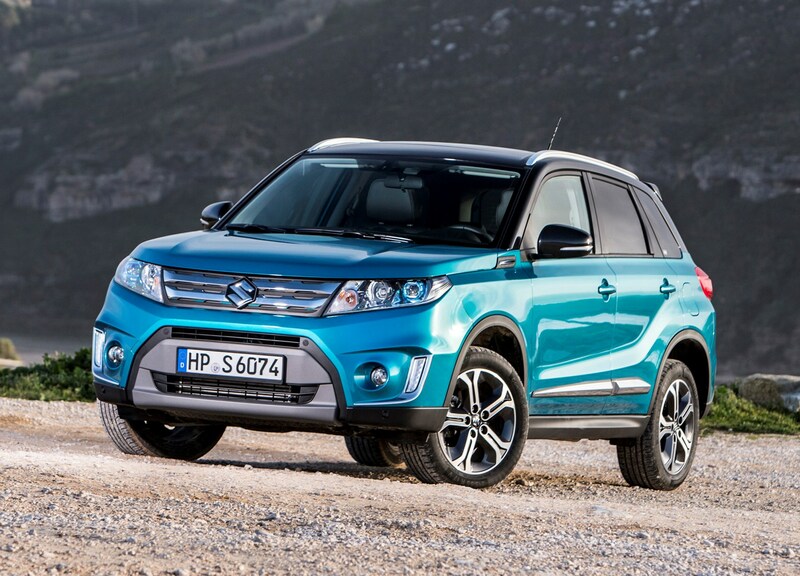 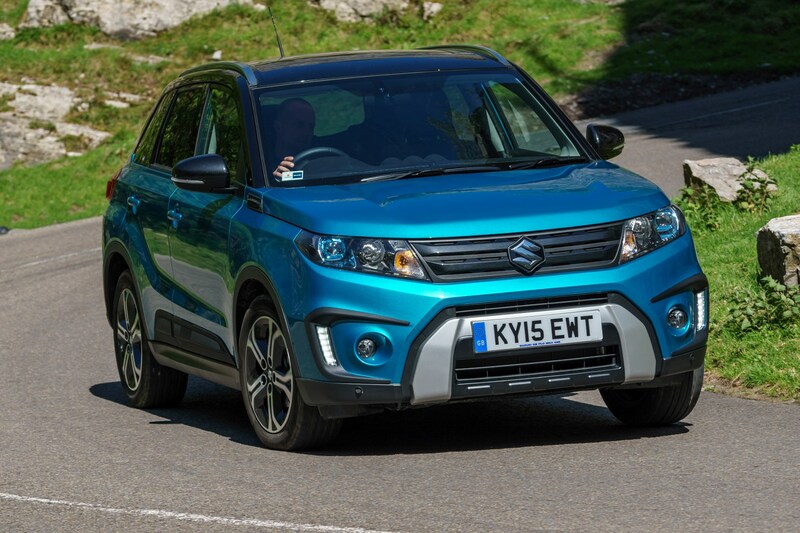 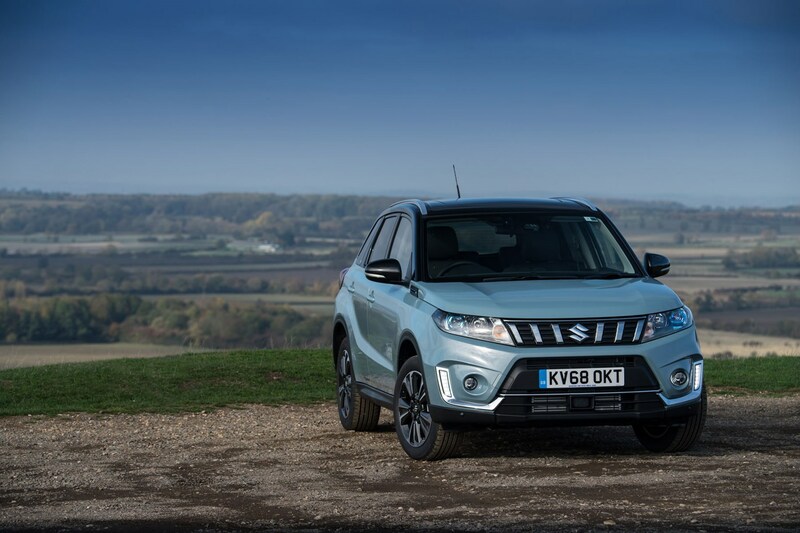 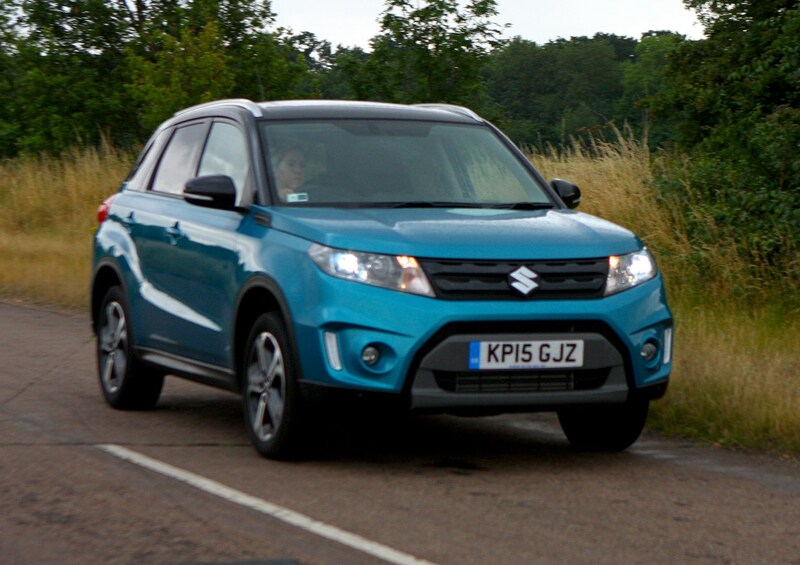 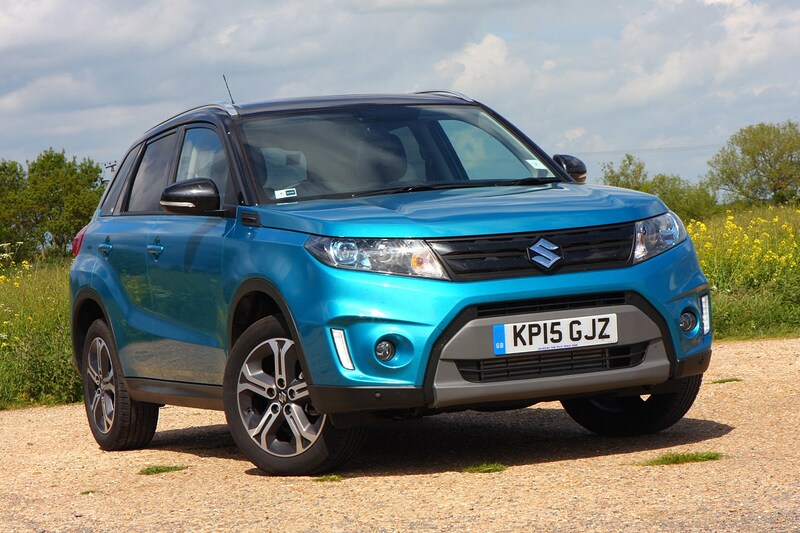 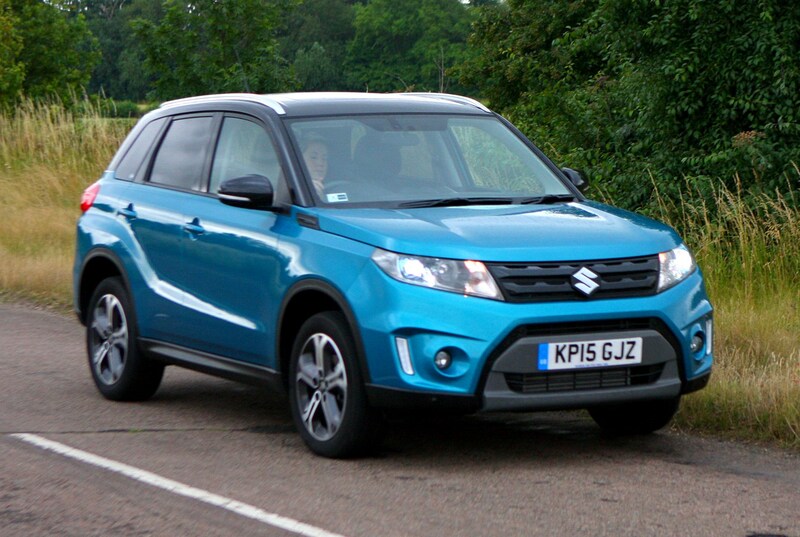 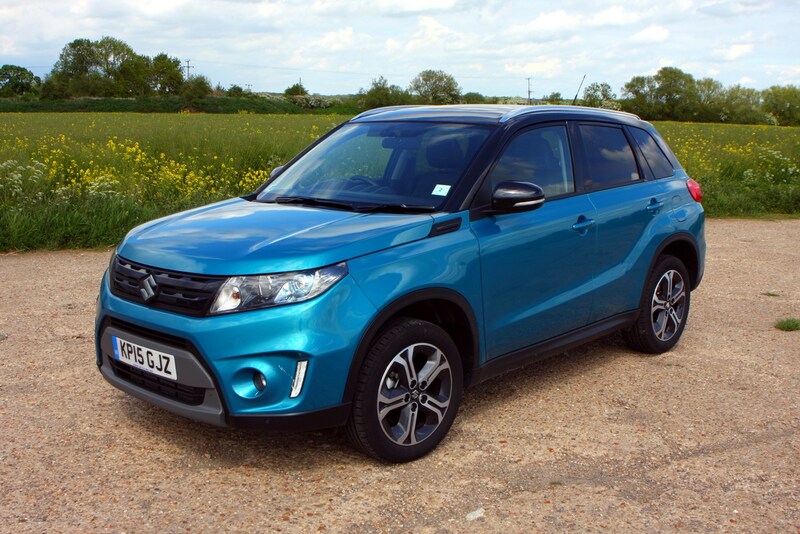 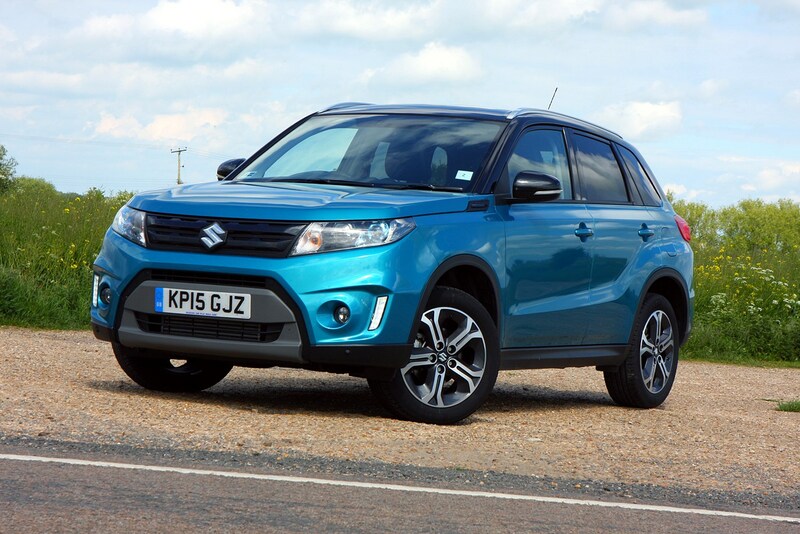 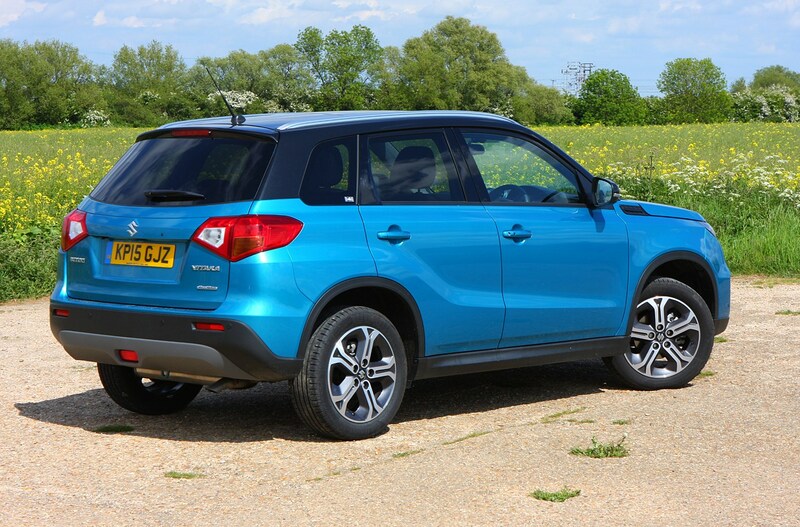 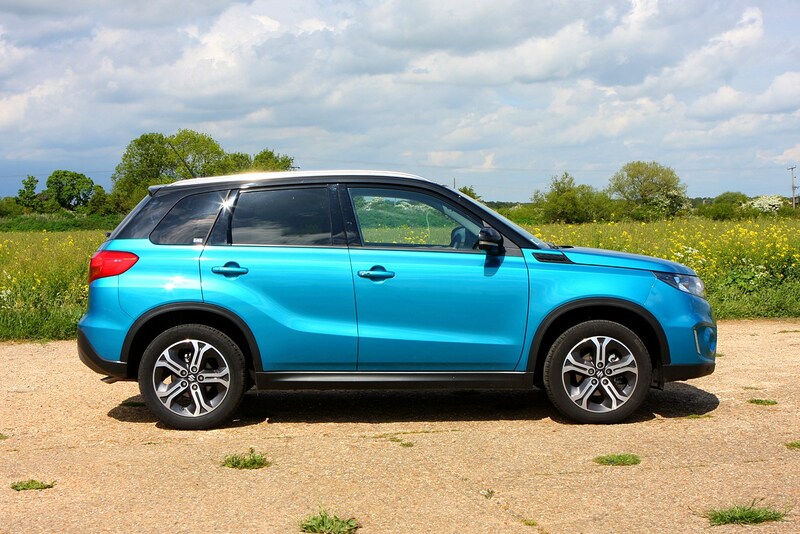 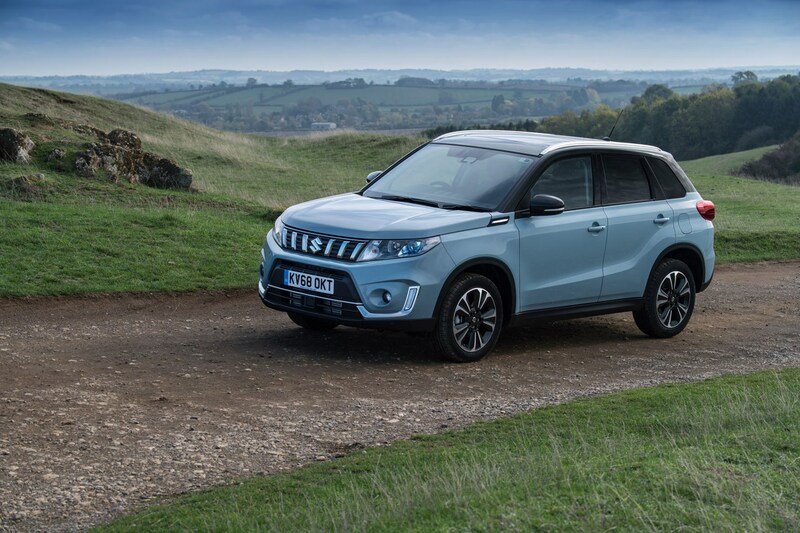 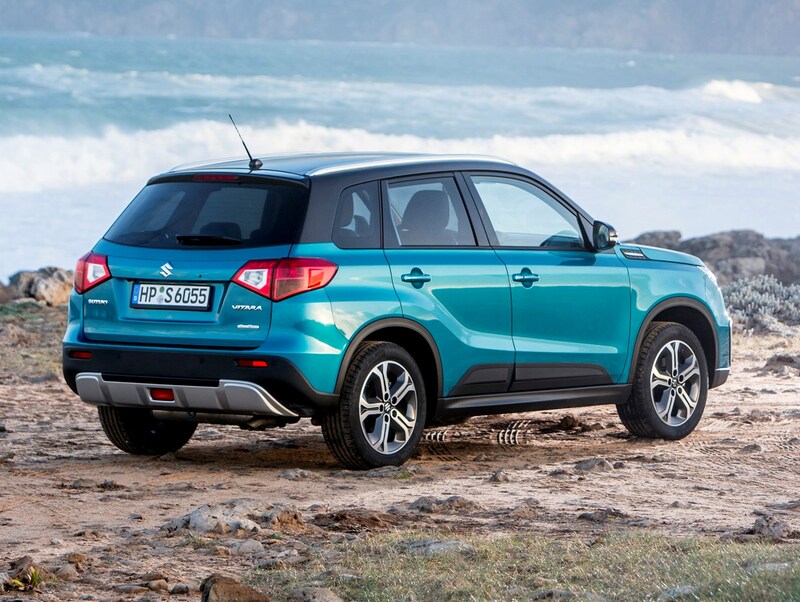 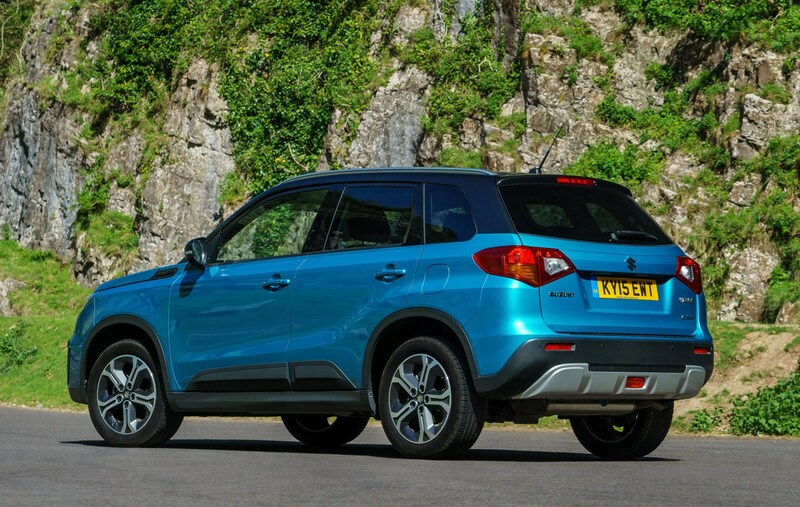 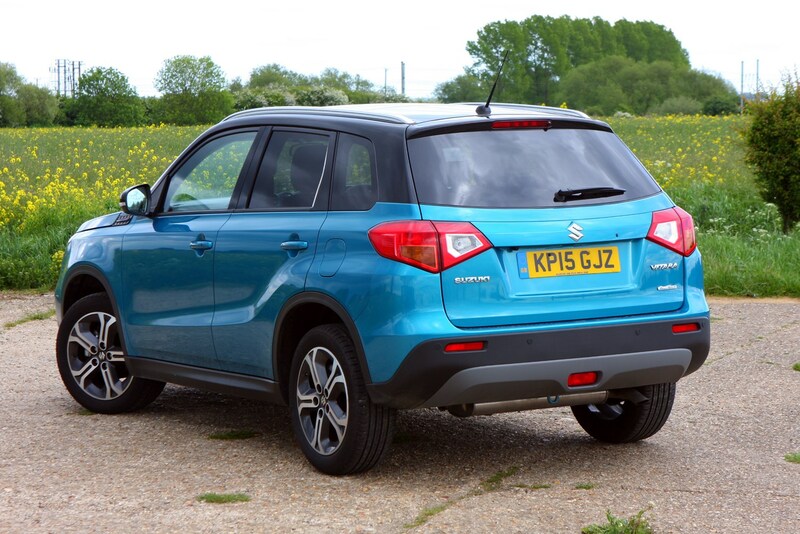 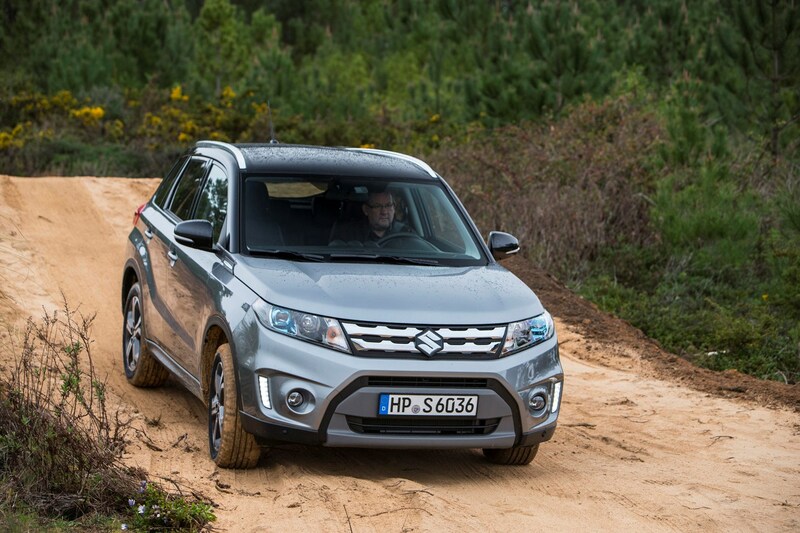 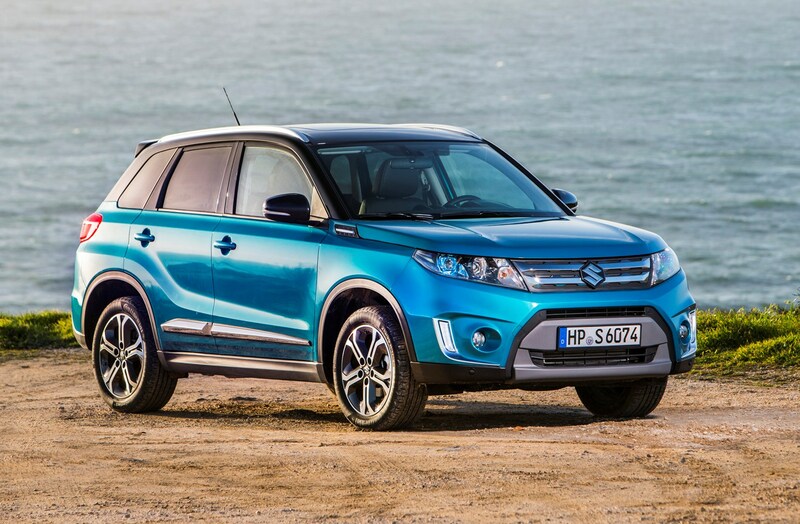 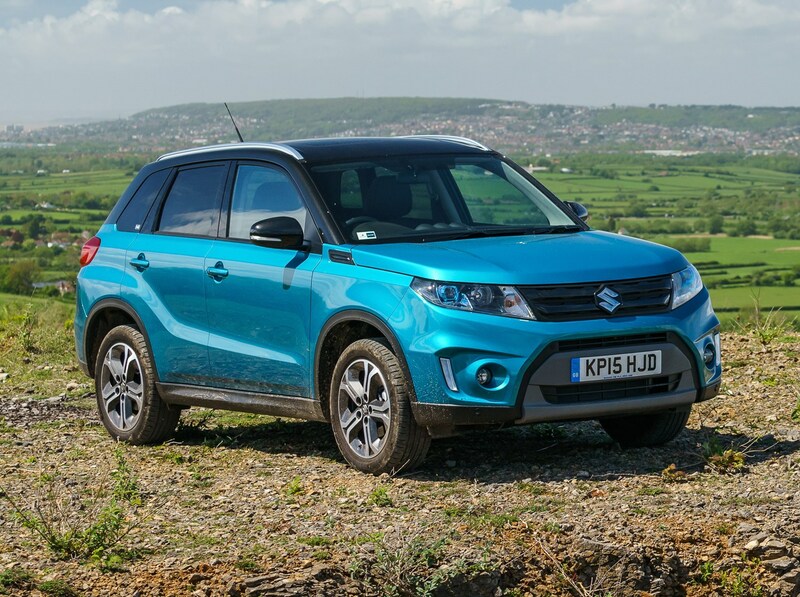 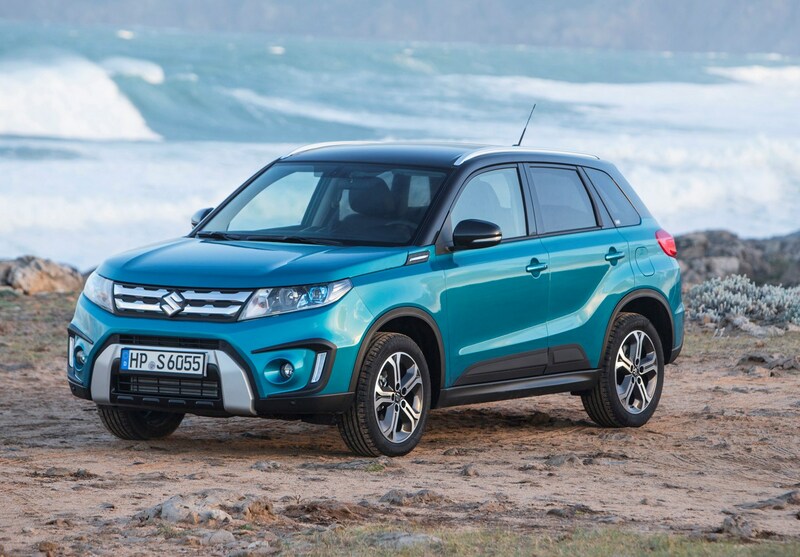 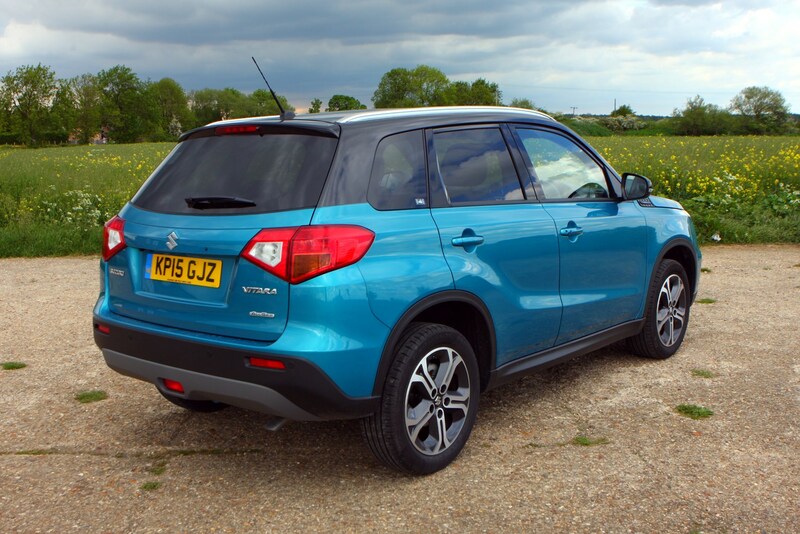 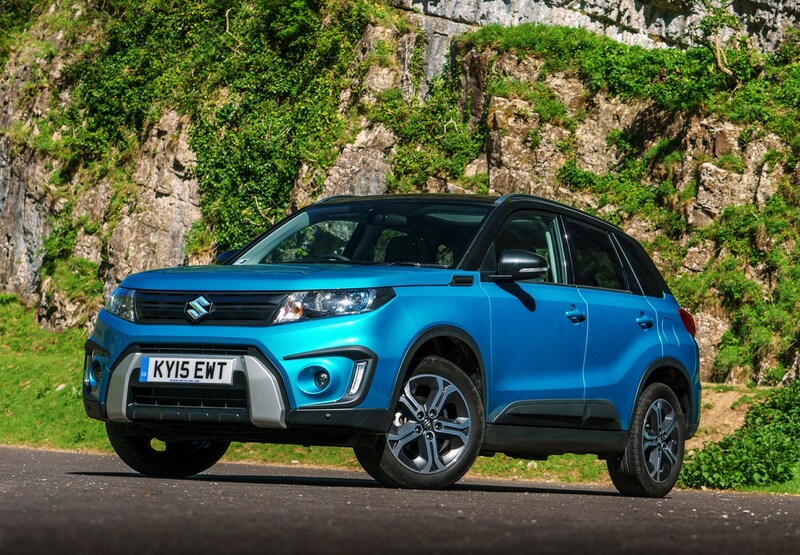 Should you buy a Suzuki Vitara? 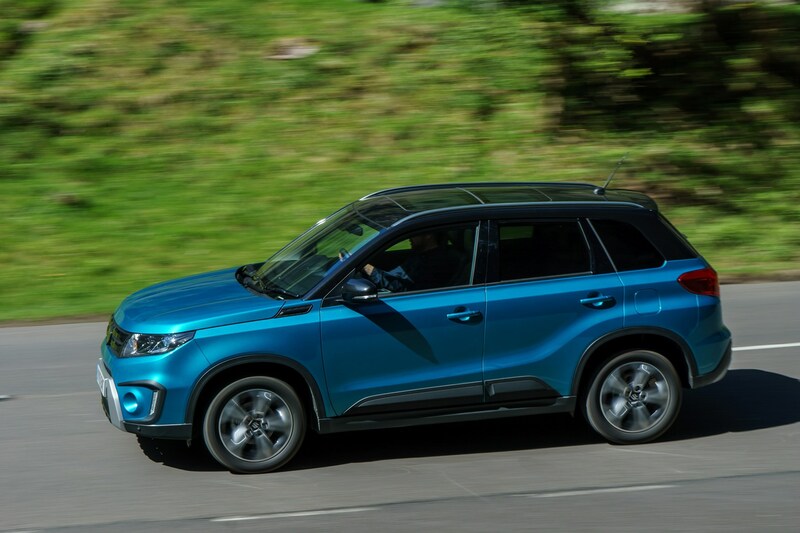 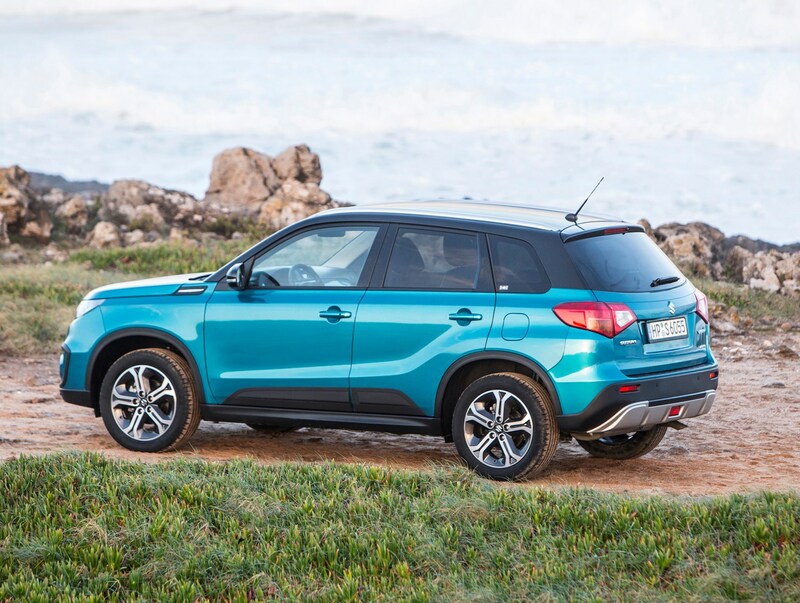 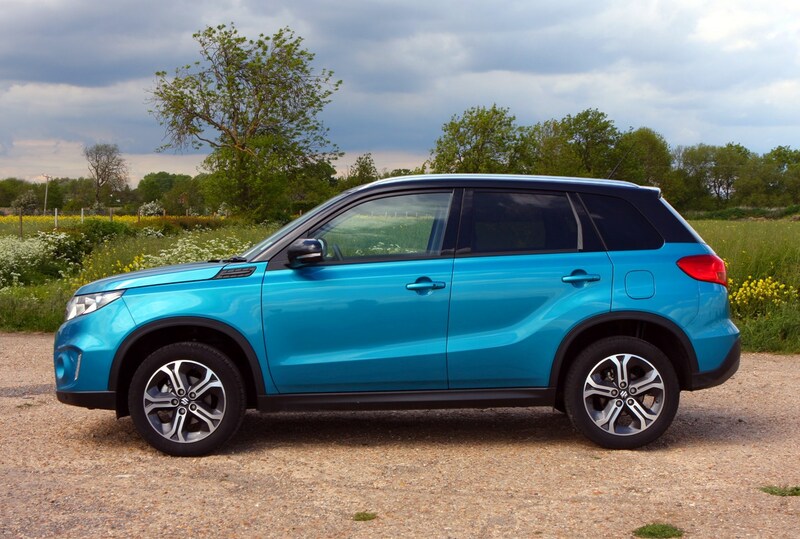 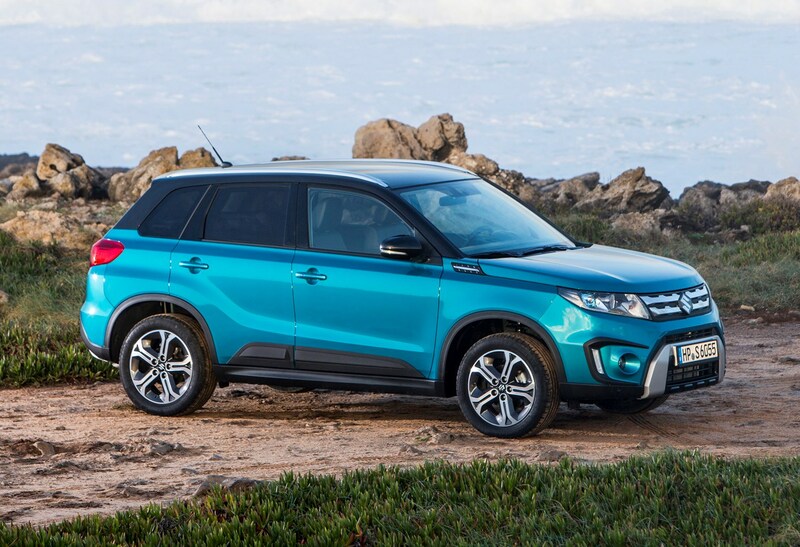 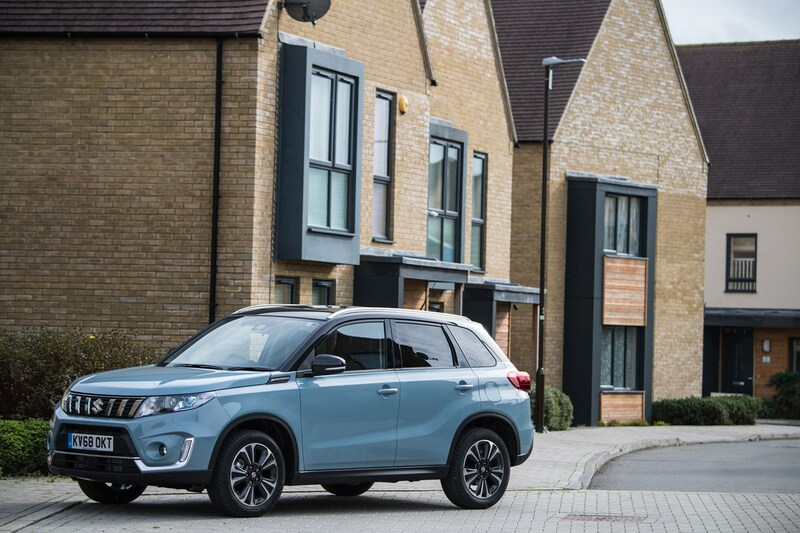 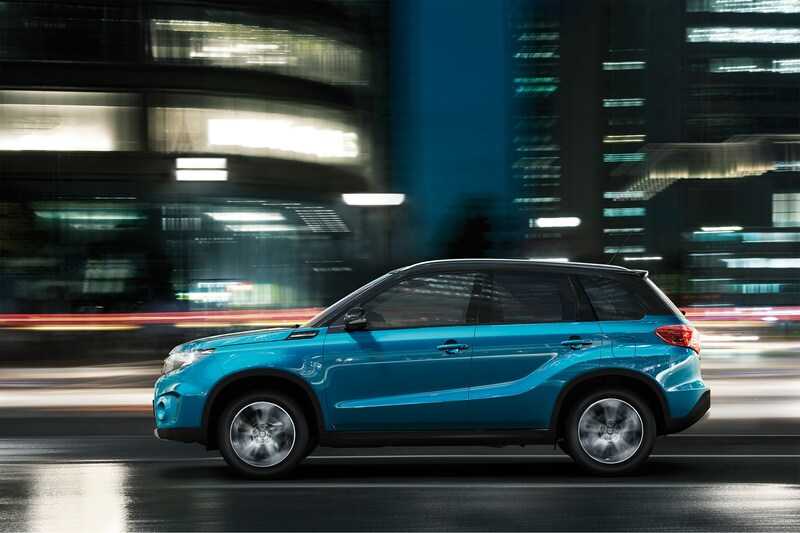 The Suzuki Vitara is a compact crossover that's packed with talents - it feels tough and rugged while remaining car-like enough to be able to potter around town in without feeling like it's an old truck. 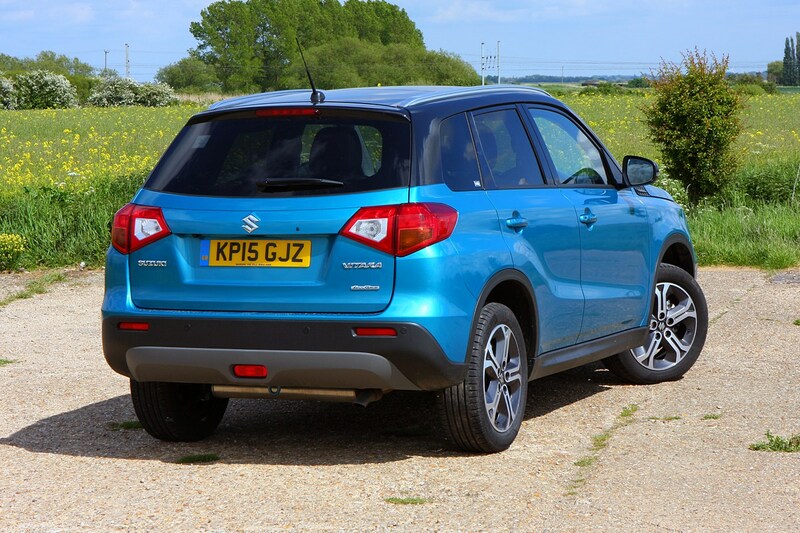 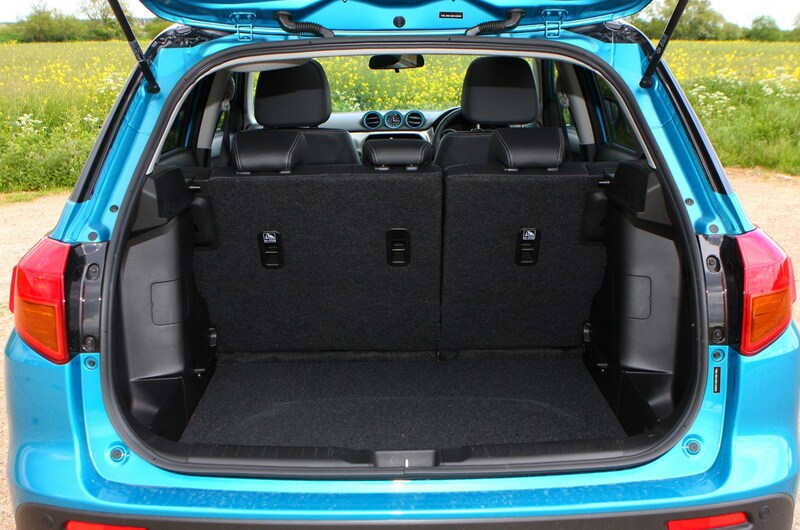 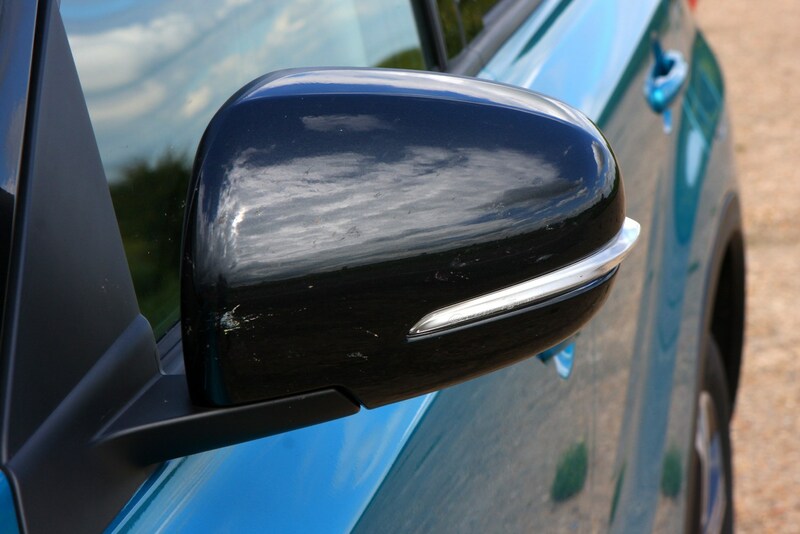 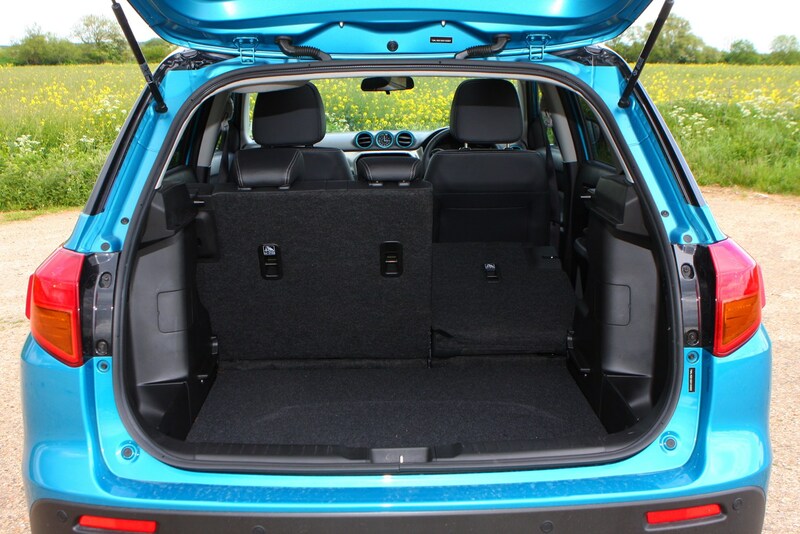 It's actually really rather good to drive on-road, and the availability of off-road modes and four-wheel drive means you can go a lot further than you can in many other small SUVs. 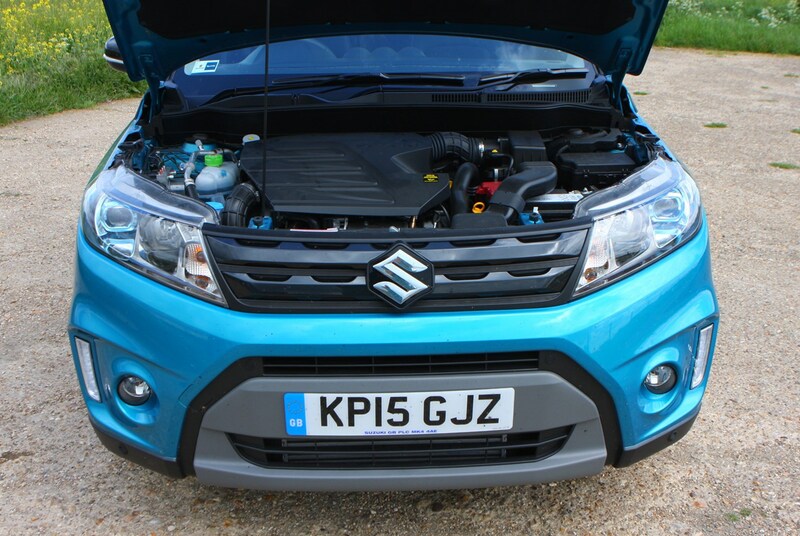 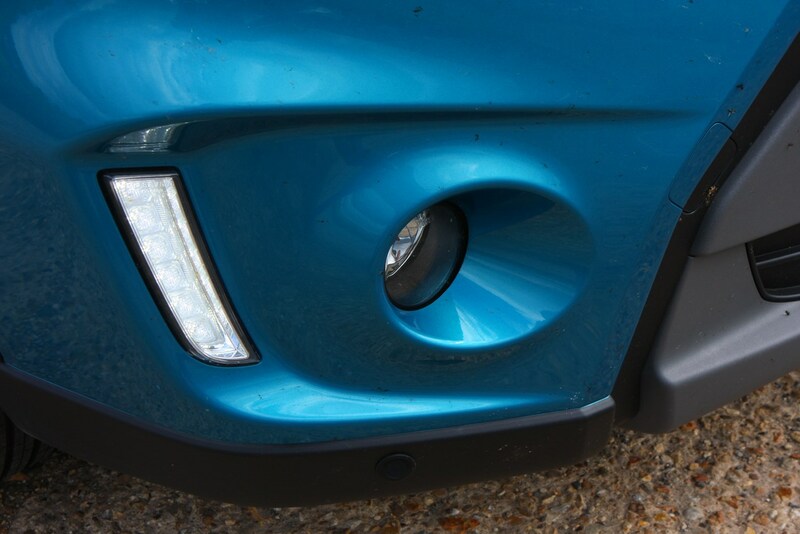 It's also excellent value and packed with kit, so it's well worth a look.